We are excited to announce Erika Kwee as our September volunteer of the month! 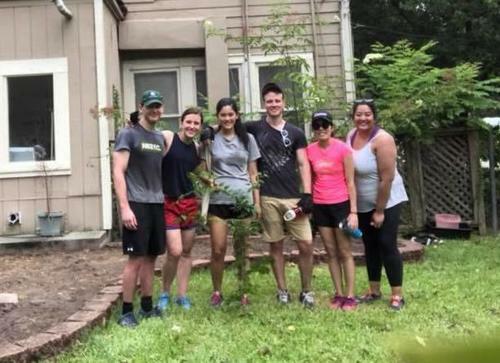 This past spring, Erika reached out to Recipe for Success with an offer to rally a group of friends to help clean up our RecipeHouse gardens that were in desperate need of some TLC. 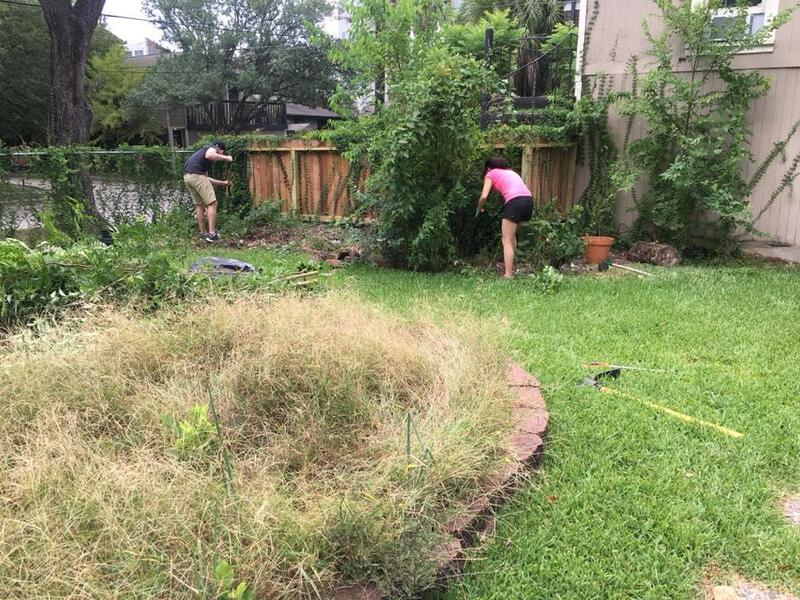 This past summer, Erika and her group of five, Brendan, Eden, Dan, Mai, and Isabel, braved the smothering Houston heat, removing thickly overgrown weeds and preparing the beds for early fall vegetable planting. The Recipe team couldn't be happier with their work as the result was a complete transformation! A volunteer since 2013, Erika has a passion for food and cooking, which was the original attraction to Recipe for Success. She describes volunteering as both "fun and rewarding" adding, "I really believe in the Recipe for Success mission and love to support the organization whenever I can!" 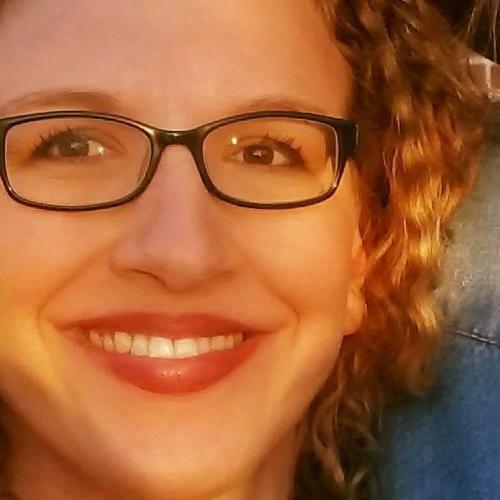 While Erika keeps busy with a career in tech, she also does freelance writing for Houston Press and runs her own personal food blog, thepancakeprincess.com, a data-based baking blog where she analyzes the best baking recipes on the internet. Out of all of her volunteer experiences with the organization, she would name the RecipeHouse garden clean up project as her favorite. "Even though we weren't sure how much we would be able to accomplish in a few hours, it was a great feeling to see where we started and where we finished." Feeling a sense of accomplishment, Erika, on behalf of her team, enthusiastically reached out upon project completion to offer their help in next steps to re-growing the RecipeHouse garden. We look forward to working with this amazing group in the near future and helping you make more memories. Thank you, Erika! Meet Allison Gryder - August Volunteer of the Month! We are excited to introduce Allison Gryder, our August Volunteer of the Month. A busy mother of four-year-old twin boys, Allison enjoys watching children explore and learn about their food. 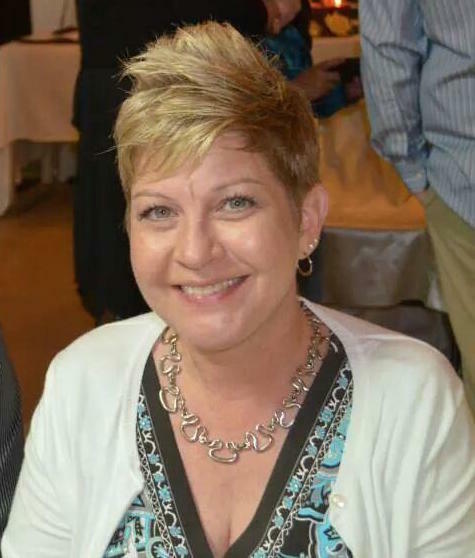 This, along with a love for cooking, sparked her interest in volunteering for the organization and she particularly enjoyed assisting with the Delivering Hope program, organizing the welcome home baskets delivered to program recipients. Outside of chasing after her two little ones and assisting the foundation, Allison also supports her alma matter, University of Houston, serving on the Houston Alumnae Panhellenic Association and Foundation. Since joining the volunteer team as an office assistant, Allison has helped us with data updates, organizing event and donor reports, and crafting customized gift acknowledgments. 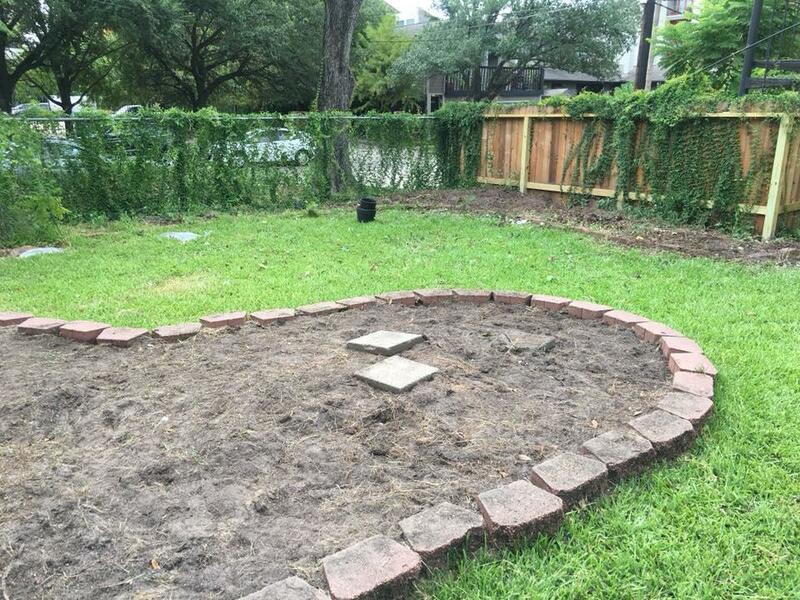 A former Development Assistant and Volunteer Coordinator for Memorial Park Conservancy, Allison has recently provided the foundation with suggestions on how to improve our volunteer and community outreach efforts. We are so appreciative of the extra care Allison has given to ensure our volunteers and supporters remain educated on the organization's current events. Thank you, Allison! A self-professed cook since the age of nine, Chef Ellen spent her childhood days In Houston surrounded by "foodies" in the grocery stores owned by her father and grandfather. She took daily cooking classes throughout middle school and high school and remained active as a dancer, forming a healthy relationship with food by choosing a variety of nutritious options that would help control her weight and fuel her activity level. She obtained her undergraduate degree from University of Houston, a Master of Science in Counseling from Houston Baptist University, and a Master's Degree, Reading Specialist from University of Houston. 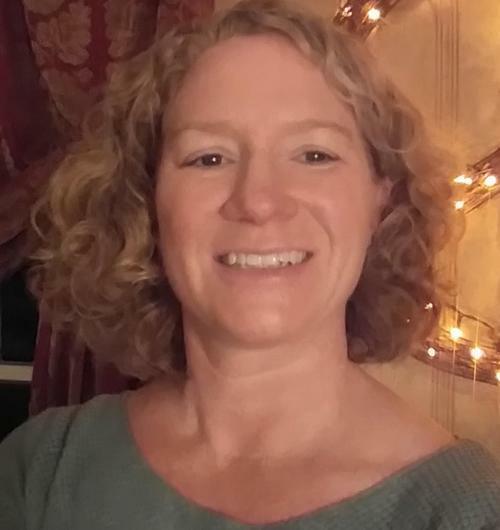 As a former counselor and mentor to middle school students struggling with overeating disorders, Ellen regularly attended OA meetings to gain further insight into the root cause of overeating and obesity in children. Her personal and professional experience combined with an increased awareness of the childhood obesity epidemic drew her to the mission of Recipe for Success Foundation. Now private chef and culinary instructor, Chef Ellen has shared her passion for cooking with a variety of ages and skill levels in the Houston area for over 15 years. She's previously taught in professional kitchens at Central Market and Rice Epicurean and currently spends summers teaching cooking techniques and recipes to children at venues such as Wharton Kids' College, St. Luke's Methodist Church in Houston, and Kid's Connect at West University's After School Program. 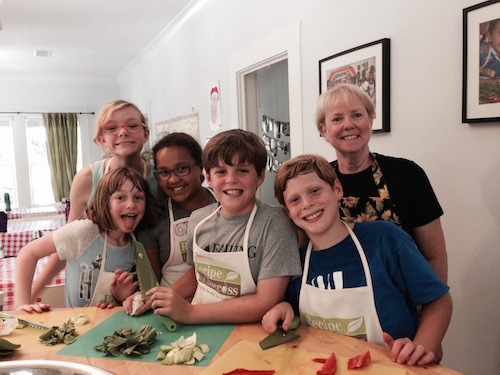 Ellen first connected with Recipe for Success as a volunteer chef within the Seed to Plate Nutrition Education™ classroom, a program reminiscent of her personal childhood experience. She enjoyed watching the students' comfort level increase as they utilized the different cooking tools, developed new vocabulary, and learned about healthy eating habits. The organization has been grateful for the support Ellen provides at our fundraising events, particularly our largest annual Delicious Alchemy The Banquet. "I love to see the chefs create their creative dishes and love working behind the scenes" muses Ellen, adding that working with "a worthwhile cause" she supports motivates her return each year. We look forward to many more years partnering with Ellen and are appreciative of her many years of service to the foundation and its mission. Thank you, Ellen! Learn more about Ellen or book a cooking class HERE! 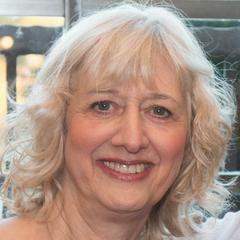 We are pleased to announce Cheryl Sorak as our May Volunteer of the Month. A busy mom of two teenagers and employee at a natural health clinic in the Houston Heights area, Cheryl still manages to carve out time to donate her time at Hope Farms on a weekly basis. Since July 2017, she's been drawn to the farm, a space she describes as "beautiful" and "good for the soul". 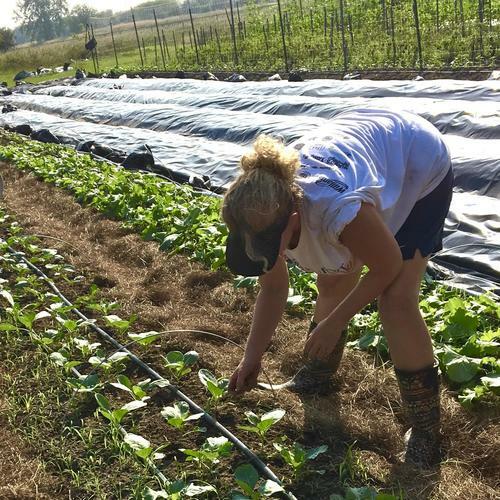 Cheryl enjoys volunteering because of the opportunity it provides to work with the foundation's farm team and other volunteers and the work is a great learning experience. One of her favorite memories was during this past winter when a rare dusting of snow covered the farm fields. "It was amazing to see the plants covered in snow! I know it was probably not the best for some of them but was a beautiful sight." The Recipe for Success team is grateful for the amount of time Cheryl has dedicated to Hope Farms. Thank you, Cheryl! It's Event Frenzy! The foundation is ready for spring with a host of fun events and festivals you will not want to miss. Hop right into the action by volunteering at one or all of these delicious occasions celebrating food and community. Hope Farms Work Day, Friday, April 6, flexible shifts starting at 8:30 a.m.
Help us prepare our farm for Earth Day weekend. There is much to do from helping to build our Children's Garden, to grounds clean up, to painting! Sign Up within our Hope Farms work day opportunity! Earth Day Festival, Saturday, April 21, 9 a.m. to 2 p.m. This year marks our first annual Earth Day Festival at Hope Farms. The festival is a a free community event offering family friendly activities including farm tours, art & crafts, upcycle stations, and goodies from local Houston vendors. Thank you for your interest in helping to make our Earth Day Festival a success - sign up HERE! Chefs in the Field, Sunday, April 22, 5:30 p.m. This is the ground-breaking dinner within our new quarterly Chefs in the Field event series to take place at Hope Farms. The dinners will host 50 guests who will dine on a 3-course meal crafted by 3 local Houston chefs. Volunteers will help with set up logistics and event check in. Sign up! Please join us for the third annual Banquet, to benefit Recipe for Success Foundation's programming. This exquisite seated dinner for 100 fortunate guests raises 20% of the Foundation's annual budget while celebrating the community of a shared meal. It will be the most extraordinary dinner party that you have ever attended, featuring 10 splendid courses, each prepared by a different celebrity chef and matched with award-winning wines--the meal of a lifetime. We're recruiting now for all aspects of event logistics including pre-event set up, check in, break down, and more. Spaces are limited so sign up today! 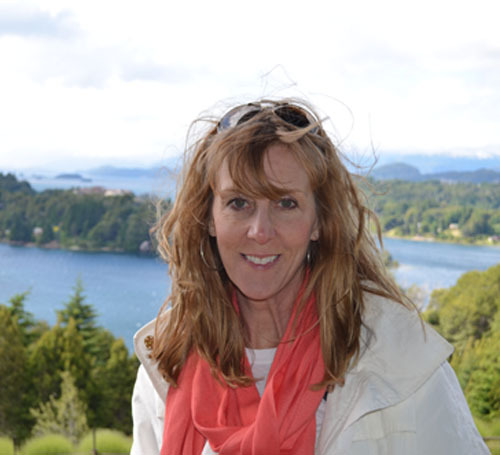 Robin Rawles is our March Volunteer of the Month! 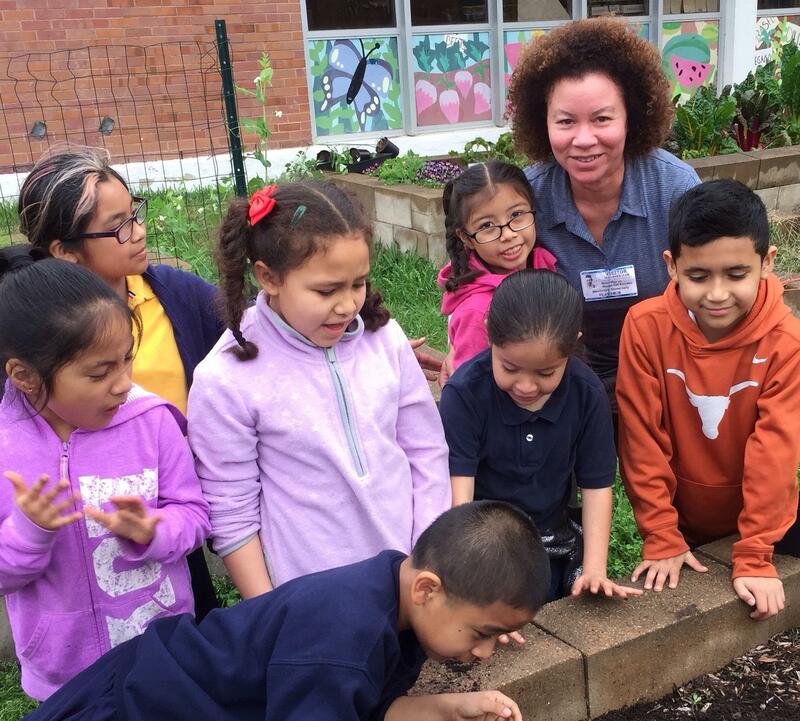 We are happy to feature Robin Rawles as our March Volunteer of the Month who has devoted her time in the classroom as a Seed to Plate Nutrition Education ™ SWAT Member for two years. The program appealed to Robin, who, outside of her volunteer service, works with older students in various subjects. To Robin, the foundation's educational program is the "embodiment of [the] mission statement". She enjoys working with Seed to Plate Nutrition Education ™ instructors, Will Isbel and Lynsey Beat, boasting that they "are two of the most knowledgeable, enthusiastic, and committed educators I have ever encountered. It is a joy to learn from them and to see the children learning." One of Robin's favorite memories created while volunteering in the classroom is of a conversation with a first-grader who paused his playtime during recess to ask about the work she was doing in the school garden. For Robin, this child's curiosity proves how impactful the program is for all children, event those who are not directly involved. The Recipe for Success team is thankful of the impact Robin has in helping us change "the way our children understand, appreciate, and eat their food." Thank you, Robin! Meet Mereen Jacob, our February Volunteer of the Month! Over the past year, Mereen has donated her time, supporting the foundation's mission through her work in the office and schools, during Girl Scout workshops, and at special events. Each opportunity for Mereen to volunteer is a time when we're able to see her passion for the organization through her dedication and cheerful disposition. "Her warmth and generosity to our students has been a breathe of fresh air," says Paola Tello, Culinary Director, "It is with much gratitude that I nominate Mereen for volunteer of the month." After graduating from the University of Houston with a BS in Human Nutrition and Foods and working in various healthcare positions, Mereen began graduate school at Texas Woman's University. Her Masters in Nutrition courses motivated her to look for opportunities to volunteer in nutrition related fields. This search led her to Recipe for Success and upon learning more about our mission, she was "astonished and proud of the success generated by the dedicated people of this organization." Initially, Mereen's busy school and work schedule prevented her from immediately jumping into open volunteer opportunities, but she stayed abreast of the organization's current events. Once her schedule allowed for it, she jumped in feet first. Currently on the job hunt, Mereen fills her free time with volunteer work not only at Recipe for Success but also within the nutrition department at Houston Methodist Hospital where she helps with ERAS (Enhanced Recovery After Surgery), a research study to determine if certain forms of nutrition or nutritional supplementation could improve patients' post-surgical recovery time. She is active at her church, St. Thomas Orthodox Cathedral, serving as a Sunday school teacher and each year she serves as the Team Captain of Team Footsteps of Faith for The Leukemia and Lymphomas Society's Light the Night Walk in memory of her father who passed after a battle with Multiple Myeloma. Mereen's love for working with children and cooking keep her connected to Recipe for Success. Her favorite memory is volunteering as a Recipe House Ambassador for Girl Scouts and seeing the scouts learn about food and teamwork in a positive environment. When asked what kept her volunteering with the foundation, Mereen answered, "Honestly? It's the children we are able to positively impact. During my final exit course for graduate school, I completed my research paper over the topic of childhood obesity and nutrition education. The question I presented was 'Does incorporating an interventional nutrition education program in schools for children provide improvements in eating habits and decrease risk of chronic diseases in adulthood?'. Basically, I was attempting to find evidence that what we do within our community through Recipe for Success, is beneficial for children in the present and future. Guess what the data said? It is beneficial. Truthfully though, I didn't need a bunch of data to prove that. I can see it in these children - in their smiles when they learn to chop an onion, in their eyes when [they] glimmer after tasting an eggplant taco and in their responses when they're eager to learn more about new cuisines! I keep volunteering because I love assisting in that experience." Allison Hand is the January Volunteer of the Month! Allison joined the Recipe for Success Team four years ago as a member of our Seed-to-Plate SWAT team. Passionate about maintaining a healthy lifestyle for herself, Allison's desire to encourage healthy eating habits in children initially drew her to the organization. "I was excited about being a part of a mission to help reduce childhood obesity," she says, remembering a time when she helped the students harvest produce they had planted in the school gardens. "To see the excitement and smiles on their faces, seeing their work come to fruition, was very exciting to me. And to know they were going to eventually eat the food that they would cook was even more extraordinary!" These days, Allison maintains a steady presence in the foundation's office, performing a variety of administrative tasks. Although many days Allison is handed a tedious task, she continues to return to the office week after week. Without her help, our small team would be overwhelmed. But because Allison both enjoys the office environment and knows her work is ultimately contributing to the foundation's mission, she continues to volunteer and we are grateful. Allison is a full-time volunteer, donating her time five days a week to not only Recipe for Success but also Dress for Success and Parkway Place. When she's not busy serving others, you'll find Allison at the theater, catching the latest new release at the movies, or spending time with friends. In line with her passion for a healthy lifestyle, Allison spends time preparing and cooking meals for herself, as well as enjoying yoga five times a week. The Recipe for Success Team is fortunate to have such a dedicated volunteer that also embodies so much of what we advocate for within the community. Thank you, Allison, for all that you do! Meet T'Liza Kiel: 2017 Volunteer of the Year! We are excited and honored to name T'Liza Kiel the 2017 Volunteer of the Year for Recipe for Success Foundation. T'Liza connected with Recipe for Success Foundation through her work at Hope Farms with The Mission Continues 4th Platoon. T'Liza immediately connected with the Sunnyside community, which reminded her of La Marque, Texas, her hometown. Sunnyside's similarity to La Marque, as well as the fact that Hope Farms allows access to fresh produce to an area identified as a food desert, increased the significance of her service. As the Veterans Behavioral Health Director for Mental Health America of Greater Houston, T'Liza recognizes the positive effects fresh produce has on physical and mental well-being. Because the subject of mental health still carries a stigma, her work on the farm can serve as a conduit to open conversations with peers and community members concerning how a healthy diet positively influences mental health. For T'Liza, the urban farm exists as "a world of impact in one place". In 2016, The Mission Continues Platoon learned their team could help make a big impact at Hope Farms. Not knowing the farm wasn't in full production, T'Liza was surprised upon her first visit to the farm to see an open field without crops. She remembers looking at Chief Agricultural Officer, Justin Myers, asking, "Where's the farm?" When he responded, "with that big Justin grin...'You're looking at it' ", T'Liza then understood their team truly had the opportunity to make an impact. She appropriately named their first service project "Breaking Ground". Since then, T'Liza and her team have watched the farm grow to fully operational with Saturday Farmers Markets, cooking demonstrations, and a weekly farm share program. 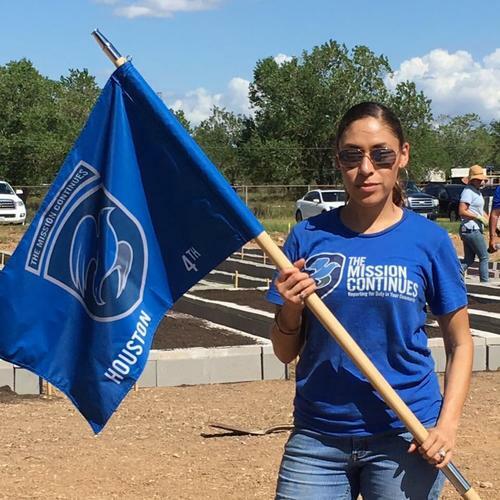 Aside from the good feelings derived from her service on the farm, T'Liza continues to volunteer because if organizations such as The Mission Continues and Recipe for Success Foundation existed during her childhood, it would have positively affected her life. "Volunteering is a humbling experience and since I am no longer in the Military, this is my continued way to serve my community," she says. Outside of volunteering, this busy full time working mom of a three year old also cares for her sixteen year old sister and amazingly still finds time to nurture her passion, writing. "I aspire to be a bestselling author one day!" She also enjoys completing home projects with her husband of five years including starting their own home garden. On Tuesday, November 28, 2017, Recipe for Success Foundation will honor T'Liza for her service to the foundation. As Justin Myers says, her "genuine enthusiasm and passion for service and her work with Hope Farms made a tremendous impact in mobilizing and uniting her fellow The Mission Continues volunteers. She first came to the farm when it was a mere field and over the course the year, she played a critical role in helping to shape and build the farm into the reality of today. Her positivity and commitment to the farm and mission of Recipe for Success as left an everlasting and valuable impact." Congratulations to John Niscavits, our October volunteer of the month. Hope Farms has benefited greatly from John's dedication to farm work assisting with production and post-hurricane restoration. 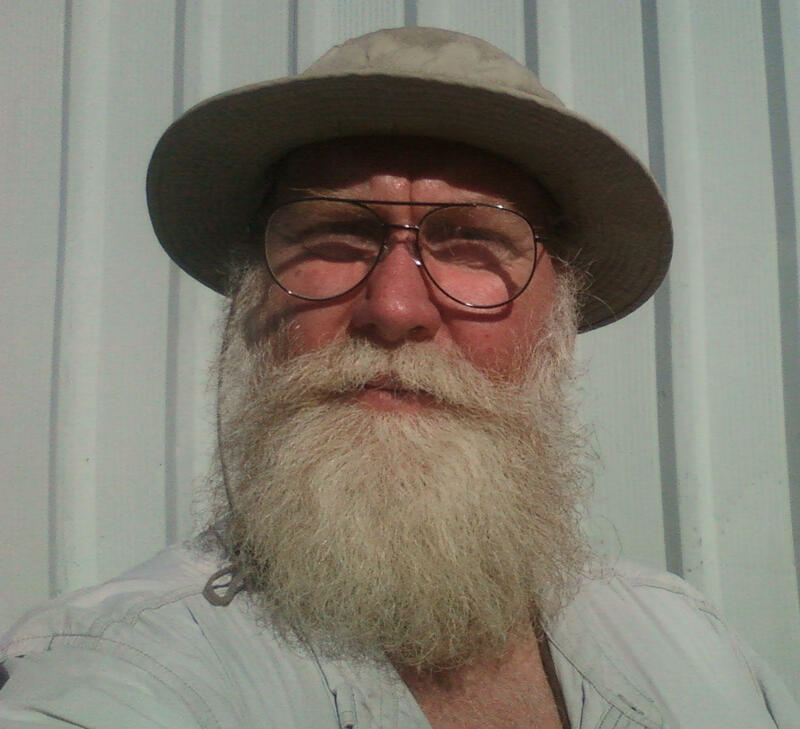 With a personal interest in organic gardening and achieving partial self sustainment by supplementing with home grown produce, John sought out a hands-on experience in urban agriculture. "Recipe For Success' investment into Hope Farms has given me opportunities to enrich my understanding of growing food organically, as well as how to grow more efficiently," he says, adding that he and a fellow friend and neighbor would like to introduce these methods into their Hobby District community. John laughs about his ambitions and comments that his growing enthusiasm for urban farming evokes the desire to till up his front yard and plant rows of corn, joking, "Maybe one day we can write that into our deed restrictions." When casting aside visions of corn rows, John works as a full-time nurse in neurotrauma intensive care and serves at Neartown Church, playing music and leading Bible studies. He also plays and records music with a close friend and Houston area producer and often collaborates with his wife, a songwriter as well. His family enjoys being outdoors, hiking, camping, and fishing in their free time. John continues to volunteer at Hope Farms because of the relationships he's built with the Recipe for Success staff, apprentices, and fellow volunteers. Through meaningful conversations and gratifying work, John always learns something new, "whether it's about farming, gardening, or life in general." One of his favorite memories while volunteering was created when he and an intern built the greenhouse doors. It wasn't the construction of the doors that excited John, but the knowledge that he was contributing to a structure that would house all of the farm's seedlings and understanding these seedlings would eventually turn into an abundant harvest. Chief Agricultural Officer, Justin Myers, along with the rest of the Recipe for Success team, is grateful for John's contribution to the farm through the scorching summer months to our first fall planting. Justin adds, "John's kind nature, authenticity, and positive energy has been a welcome and valuable presence to the farm's growth and success." Thank you, John, for your support of Hope Farms! 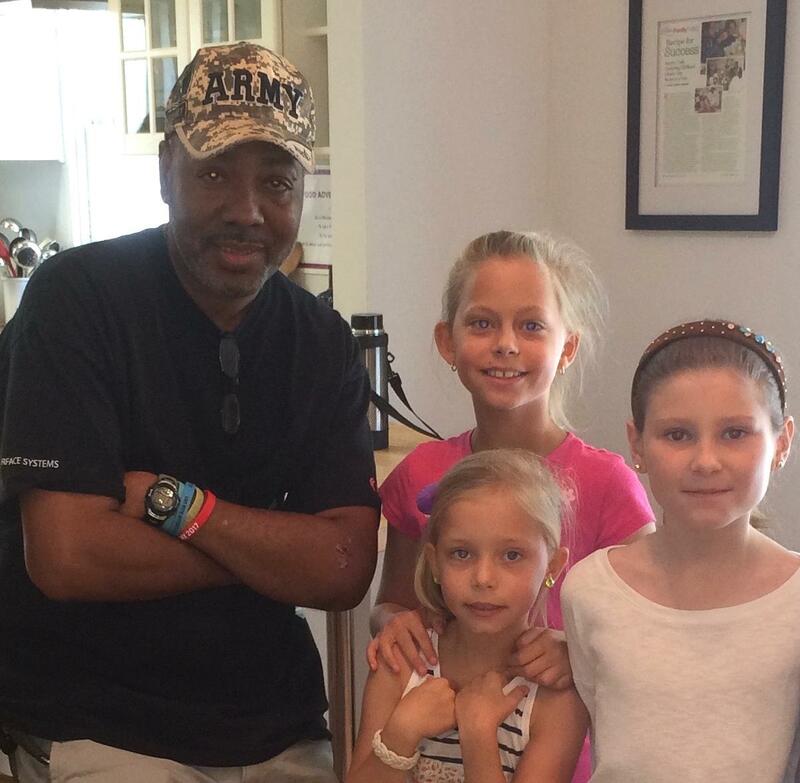 While on summer break from his three year stretch as a substitute teacher, Bruce was in search of a volunteer opportunity in which he could positively impact children's lives. He learned of Recipe for Success Foundation through Volunteer Houston and jumped in feet first, engaging in summer camp, hope farms work days, and office work dedicating over 150 hours this summer alone. In the office, Bruce singlehandedly organized a mailing list for an upcoming event and helped convert hundreds of documents into electronic files. Chief Agricultural Officer, Justin Myers, commented on Bruce's "dedicated and positive presence on the farm throughout the heat of the summer. His calm nature and hard work have allowed the farm to navigate through epic weeding and make a successful transition into preparations for the fall planting season." No matter the task, Bruce feels that his work serves a purpose. Though he may not always directly interact with children, he understands that the work performed ultimately helps them. Introduced to gardening during childhood through time spent at his grandmother's Houston home, Bruce had access to fresh okra, tomatoes, and corn. It wasn't until he joined the army that he learned the retail cost of these vegetables and understood one of the benefits of growing one's own produce. Since then, Bruce has hoped to have a garden of his own one day. His time spent volunteering during summer camp this year helped develop a new appreciation for a variety of veggies. "Paola has turned me into a kale freak," he adds, commenting that he now substitutes kale where he once ate lettuce. Outside of volunteering and when not acting as a hero in the classroom as a sub, Bruce enjoys nature and particularly likes to take road trips with his two sons. The Students of Monarch School and Institute are our July Volunteer Stars! In late 2016, Montia Murray, Professional Educator at The Monarch School and Institute, contacted Recipe for Success Foundation, hoping to form a partnership in the hopes of establishing an opportunity to introduce the school's adult learners to the practice of serving others. Our office welcomed the new year and smiling faces of a select group of Monarch students who visited RecipeHouse to serve as office angels. These energetic individuals assisted with event mailings, press kit assembly, and inventory updates. It was always a treat to welcome their enthusiasm into an otherwise quiet and standard office day; their efforts helped improve office efficiency and decreased turnaround time for a mass event mailing. Students at the Monarch School and Institute are diagnosed with neurological differences, primarily Autism. The program works on a Four Core Goal model that includes Self-awareness/Self-Regulation, Relationship Development, Executive Functioning, and Professional Competence. Montia felt the Office Angel opportunity matched with the program's four core goals and the students were "able to practice all of their goals while making a meaningful contribution to the community." Thank you to the students of Monarch School and Institute for dedicating your time to help us combat childhood obesity. We hope to see you in the fall! 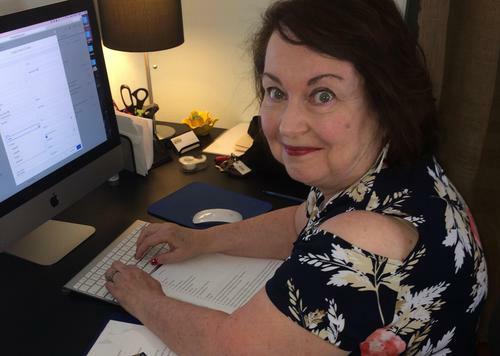 Since joining the volunteer team, Mary has lent her time and talents helping to improve our foundation's office systems, increasing our everyday efficiency. 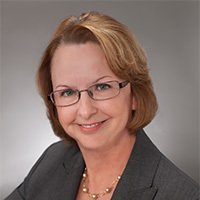 Whether its data entry, research, document scanning, or stuffing and sealing event invitations, Mary offers her eagle eye and sharp wit to each project and contributes solutions to make a process better. "I really enjoy my work as an office angel," she says, "The work is not complicated...I find it very satisfying and the effort is always appreciated." Born a first generation American in Newark, the most populated city in New Jersey, Mary embraced the city life, later living in Milwaukee and eventually settling in Houston. While working toward her Masters in Science at the University of Houston, her student office also served as an aquaponics garden. A city girl at heart, Mary was unfamiliar with farming and gardening. However, her close proximity to the garden peaked her interest in urban agriculture, leading her to experiment with growing oyster mushrooms in recycled coffee grounds. Mary's interest in urban agriculture lasted long after earning her Master of Science. While feeding her fascination with hours of research at the public library and online, she learned about Hope Farms. She was immediately enticed by the concept of increasing access to local fresh produce within identified Houston food deserts and training veterans as future urban farmers. "I knew I wanted to be a part of [an] organization that had the vision to do something like that!" Having earned two undergraduate degrees and two masters degrees, Mary considers herself a "lifelong learner". She continues to nurture her curiosity about urban farming, setting up a small culinary garden at her 1930s Hyde Park home where she and her husband, Harvey, reside. "This is a real learning curve for me," Mary says about their front lawn converted to an edible garden that produces a variety of fruits and vegetables, including kumquats, apples, kale, and a variety of herbs all growing from raised or vertical beds. She and her husband now enjoy the benefits of a personal produce section just a few steps away from their kitchen and plan to create an indoor hydroponics space to allow for annual access to their favorite leafy greens. Outside of developing her green thumb, Mary presently works as a psychiatric consultant. Several years in the healthcare industry including ten years working in healthcare regulatory compliance and risk management have helped her develop strong analytical and problem solving skills that carry over to her work as an office angel at RecipeHouse. Mary does not limit herself to weekly visits at the office but has assisted in event operations at our 2017 Dress for Dinner at Neiman Marcus and helped with event set up and décor for the 2017 Delicious Alchemy: The Banquet in April. In the future, she hopes to dedicate some time at Hope Farms, appreciating that the organization offers a variety of ways to contribute. "No matter what you volunteer to do, whether it is office tasks or working on glamorous fund raising galas, the staff always makes you feel your contribution is needed and appreciated. It just plain feels good to spend your time there." It feels good to have you on board our volunteer team, Mary. Thank you for your dedication! Tiffany Mathews is Volunteer of the Month! We are thrilled to feature Tiffany Mathews as our May Volunteer of the Month. 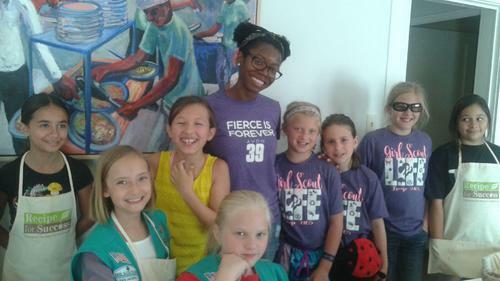 Since 2014, Tiffany has brought her cheerful personality to summer camp and Girl Scout classes, sharing her love for cooking acquired at age ten. "A lot of my family's social interaction took place in the kitchen," she recalls. And because her mother didn't like cooking, learning and enjoying how to cook was a natural step for Tiffany. Today, she considers one of her specialties mac n cheese, made predominately with cheddar and is "currently working on a recipe that has no processed cheese." A Missouri native, Tiffany joined her two older sisters in Texas nearly eight years ago after graduating from University of Pittsburg. She is currently working a second degree in nutrition and dietetics at the University of Houston. Once she conquers the GRE, Tiffany will roll these undergrad credits toward a Masters in Dietetics. Once gradated, Tiffany hopes to relocate once again, possibly to Seattle. With several years of teaching experience, including six years as a tutor for HISD, Tiffany currently does administrative work for Jazz Education, a non-profit that introduces jazz music to children, and loves how the organization empowers young members of the community. Despite her full plate and busy schedule, Tiffany continues to volunteer for Recipe for Success Foundation, building relationships with new and returning campers. One of her favorite memories occurred during her first year volunteering at summer camp when the campers were charged with producing a video for a granola recipe they'd created. One camper was inventive enough to write a parody to a familiar commercial jingle and Tiffany remembers being particularly impressed with this youth's aptitude and imagination. Recipe for Success feels fortunate to have such a dedicated and talented volunteer onboard. Paola Tello, Volunteer Coordinator, adds "Tiffany's dedication to our mission has been outstanding...Her ability to jump right into any situation makes her an exemplary volunteer, but Tiffany's genuine love for teaching children is what makes her a star. I love seeing how children feel at ease with her while cooking and sharing stories." We appreciate all that you do for Recipe for Success Foundation and the smallest members of our community. Thank you, Tiffany! A resident of Sunnyside, Judy was encouraged to learn more about Recipe for Success Foundation after a posted Hope Farms sign caught her eye. She stopped to have a conversation with Justin Myers, Chief Agricultural Officer, learning how the farm would positively impact her community, bringing "fresh fruits and vegetables...at low cost". 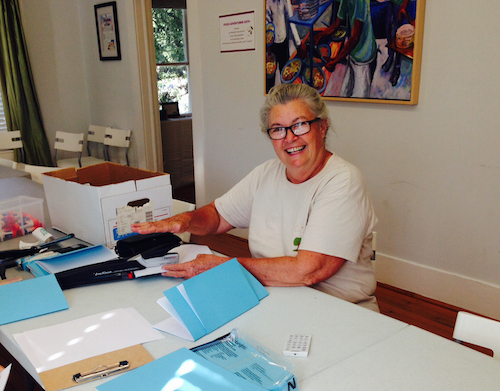 Judy was inspired to call the RecipeHouse office and learn about volunteer opportunities. She quickly spread the word about the work of Recipe for Success amongst her neighbors and friends, encouraging several Sunnyside residents to promptly attend the next available volunteer orientation, ready to dedicate their time and energy at the farm. Since first zealously recruiting volunteers, Judy has seized every opportunity to be involved, working on the farm, assisting in Girl Scout cooking classes, and helping fundraise at our exclusive events. No matter the task, she always brings her infectious energy and passion for the organization. 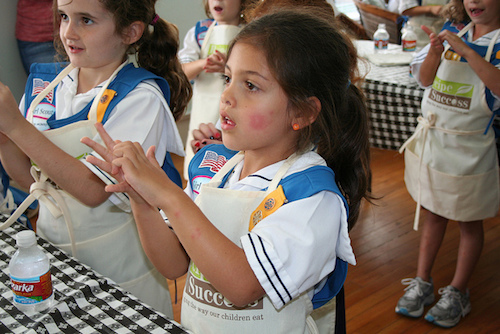 With little baking experience, Judy finds volunteering with the Girl Scout cooking classes particularly beneficial and interesting, feeling she learns "just as much as the girls". She especially looks back fondly on her time working at the Dress for Dinner event this past March. She had the opportunity to speak with event host, Tammie Johnson, who spoke passionately about the negative effects improper eating habits can have on the whole self and was touched to learn about her personal experience. Judy feels Tammie embodies the efforts of Recipe for Success and is proof that learning to cook and eat properly promotes great health and self-esteem. Because of the multidimensional impact the organization has on surrounding communities, Judy is inspired to continue volunteering. She enjoys being a part of a dynamic organization that affects positive change, understanding healthy delicious food is "a vital link to maintaining a healthy body, mind, and spirit". An added reward is the chance to work with a motivating team of staff, volunteers, and supporters who share a sincere love for the community, health, and the environment. When she's not devoting several hours of personal time to Recipe for Success Foundation, Judy spends time with her husband, Robert, owner of Wells and Son Carpet Cleaning and Floor Care, and substitute teaches at Carnegie Vanguard High School for gifted and talented students. Hope Farms is developed on the land where the former Carnegie High School was located. She and other Sunnyside residents are happy the land is now utilized for a purpose that will enhance the community and feels the farm can be a source of pride for her Sunnyside community. "I smile when I drive past the corner at Scott and Airport," she says. You make us smile, too, Judy! Thank you for your heart and dedication! Our Volunteer of the month for February is Mike Aden. Born in Florida and raised in the Houston-Baytown area, Mike has worked for Keeping Houston Beautiful for 12 years. His grandparents introduced him to gardening at their plant nursery in Florida and he continues to enjoy the outdoors, especially when camping. While he normally cooks for himself only when camping, "I enjoy a good salad, fresh garlic, and onion." Through frequent conversations with Justin, our Chief Agricultural Officer, Mike learned more about the ongoing efforts of Recipe for Success and appreciates how Hope Farms will provide fresh produce for families to enjoy. "It's a really good thing, what you're doing!" Recently, Mike devoted several hours of his time at Hope Farms. Stopping by the farm to drop off items in preparation for an upcoming work day, Mike noticed Farm Manager, Amy, putting up a post for a greenhouse. Alone in her project, Mike decided to help. "He generously shared a full day of work on his weekend", says Amy of his contributions. "His experience and good sense of humor helped ensure that this big project started off on the right foot. We're so grateful to have him as a resource and a friend to the farm." Thank you, Mike! Since coming on board as an office angel, Linda has devoted several hours of her time on a weekly basis, assisting with tasks to keep us organized and mission-focused. She tripped across Recipe for Success Foundation during a web search and felt connected to our mission to combat childhood obesity. With twelve grandchildren, this connection is personal for Linda and she hopes they all develop and maintain a healthy relationship with food. Most attractive to Linda is our offering of office work opportunities because she wishes to serve and share her talents where needed. No matter the task given, Linda completes it with precision and positivity. Even monotonous jobs such as scanning a bank box full of documents, Linda accepts with a smile, understanding completion of such tasks helps us operate more efficiently. 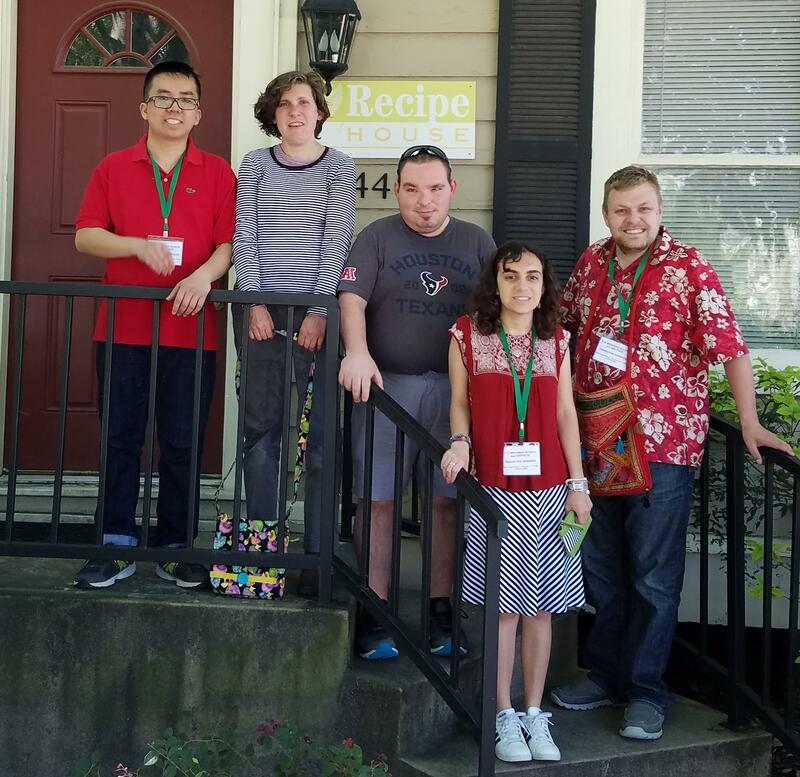 Outside of her service to Recipe for Success, Linda also volunteers with The Lighthouse of Houston, providing transportation for blind adults to and from medical appointments. A favorite pastime is reading motivational and inspirational books; she is currently reading The Book of Joy: Lasting Happiness in a Changing World by Dalai Lama, Desmond Tutu, and Douglas Carlton Abrams. Linda also spends time traveling to visit her grandchildren divided amongst four states - Oregon, Michigan, Oklahoma, and Texas - and visiting her husband who resides in Trinidad for business. Linda recently opened her home to her niece who relocated from Iowa to Houston to pursue her degree. Linda's healthy lifestyle of preparing delicious food at home and maintaining regular gym visits has influenced her niece to create healthy habits of her own. Since living with Linda, her niece has celebrated a steady weight loss and now incorporates healthy foods into her diet. This inspirational story is an example of what drives the team of employees and volunteers at Recipe for Success to help make the world a place where healthy eating is the norm and nutritious food is appreciated and celebrated. Thank you, Linda, for helping lead our cause and giving so much of your time! Congratulations to Vareck Herrera, our Volunteer of the Month for December. Driven by his desire to offer his culinary and hospitality experience to help feed and educate our local community, Vareck joined the Recipe for Success volunteer team. As a Bartender Extraordinaire at the Art of Food event, Vareck quickly integrated himself into the action, displaying a willingness to take on any task and engaging key guests throughout the evening. "The entire night was a blast!" Vareck remembers. A few days later, he brought his infectious enthusiasm and energy to volunteer at the Texas Contemporary Arts Fair. 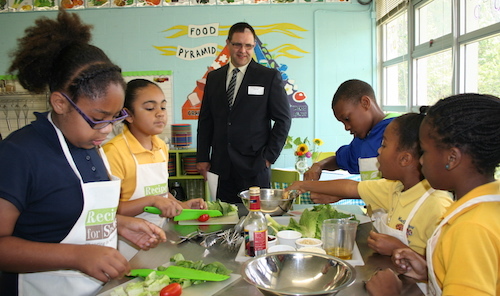 Vareck was intrigued by Recipe for Success because the Seed-to-Plate Nutrition EducationTM program emphasizes the importance of healthy sustainable foods. 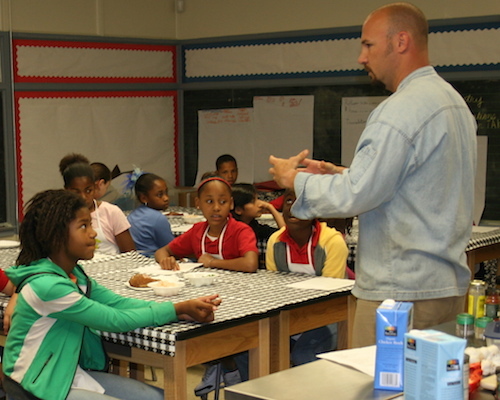 He believes children can not only gain knowledge and skills in art, reading, math, and science while learning about plate presentation, recipes, weight and measures, and techniques, but they also learn that cooking is fun and rewarding. An aspiring chef, Vareck loves that Recipe for Success allows him to "network with such amazing chefs" while also giving the opportunity to interact with both event guests and other volunteers. Volunteering combines two of his loves: cooking and putting smiles on faces "one meal at a time". Thank you, Vareck! MEET OUR AUGUST VOLUNTEER OF THE MONTH! Diana read about us last spring in The Houston Chronicle's special Houston Gives issue spotlighting our city's wonderful charities and the state of philathropy (read story) and decided we were a perfect fit for her passions. "I can identify with eating the right kinds of foods from my own journey to better health." Cheerful and hardworking, we love the way she connects with our EatThis! summer campers. Now she is scheduling her fall around volunteering in our school classrooms to help us deliver Seed-to-Plate Nutrition Education™ to elementary students. Thank you Diane for helping us change the way children eat! Find out more about how to volunteer HERE. 10 Chefs + 10 Courses + 75 Guests + The Dunlavy = Houston's Best Ever Dinner Party! 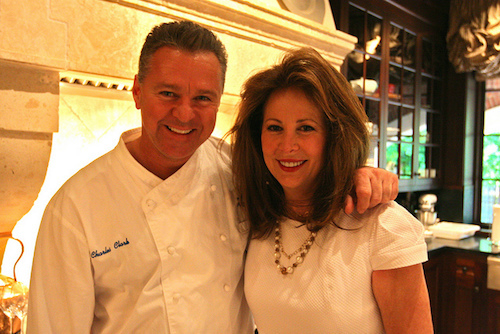 Guests are still raving about the 10th Anniversary dinner party that Gracie and Bob Cavnar threw to benefit Recipe for Success Foundation, Thursday night May 19 at The Dunlavy. "The chicest most elegant dinner we've been to in years," gushed global philanthropist Becca Thrash. 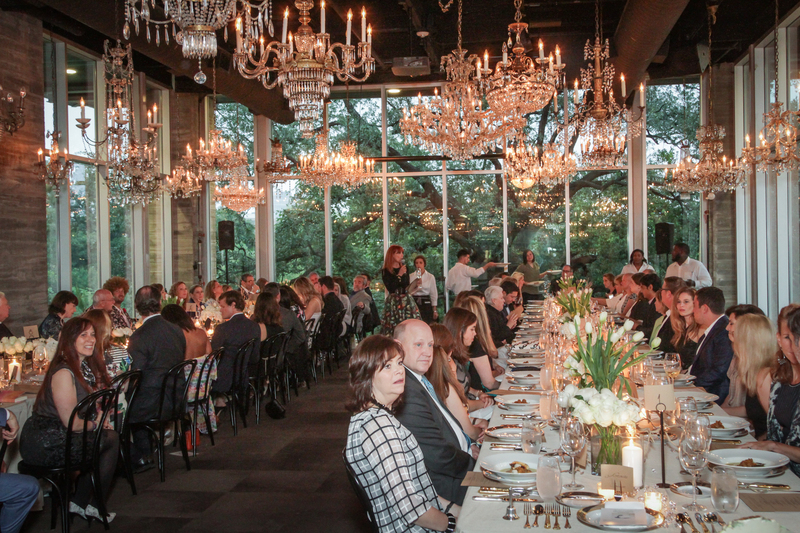 "The entire evening was a feast for every sense--truly a beautiful, engaging, and delicious few hours in the most perfect Houston setting," insisted Houston supporter Jane Wagner. 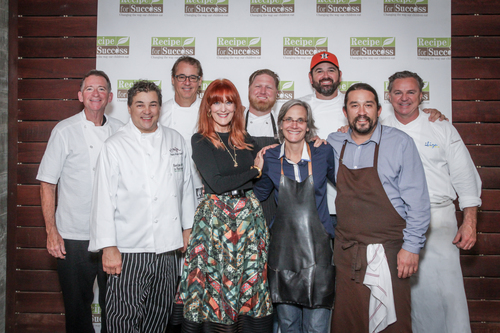 A culinary reunion with the air of a parallel party had the kitchen humming all afternoon as ten iconic food artists--all founding members of the Recipe For Success Chef's Advisory Board--prepared their courses. Bryan Caswell, Charles Clark, Robert Del Grande, Randy Evans, Lance Fegen, Peter Garcia, Elouise Jones, Monica Pope, Randy Rucker, and John Sheely pulled out all the stops to created their over-the-top dishes with the help of ingredients donated by Sysco Foods, D'Artagnan, DR Delicacy, Marble Ranch and Indian Creek Mushrooms. Afternoon thunderstorms cleared and a breeze kicked up just in time for seventy guests to arrive at The Dunlavy where the parade of food started during cocktails on the screen porch, which is cantilevered over Buffalo Bayou. Lance Fegen's Pupukea-style tuna poke with ginger, macadamia, mango and chilies on a wasabi-sesame spoon; Monica Pope's signature Date with a Pig and John Sheely's snapper ceviche were passed as guests posed for photos with Neal Hamil Agency models who were draped only in artful dinner napkins. The models displayed examples of Dinner at Eight, sets of ten napkins featuring original works created for the occasion by artists Andrea Bianconi, Elaine Bradford, Joey Fauerso, Michael Golden, David McGee, Neva Mikulicz, Kermit Oliver, Susan Plum, Beth Secor and Randy Twaddle. Guests snapped up the packaged sets on sale for $250. A signature cocktail of Belvedere Peach Vodka with fresh Texas peaches from Jolie Vue Ranch made the rounds along with Chandon Sparkling Wine, Anna de Codorniu Cava Brut, En Route Chardonnay, Long Meadow Ranch Sauvignon Blanc, Septima Malbec, DeLoach Pinot Noir--all curated by Glazers Distributing, plus Stella Artois and 8th Wonder beer--gifts from Silver Eagle. With her grandmother's sterling silver dinner bell, Gracie Cavnar signaled a move to the dining room where two long tables dressed in natural linen shimmered with silver and gold flatware, golden rimmed plates, and accented with white votives, pillar candles, peonies, tulips and hydrangeas were set under a sparkling collection of 40 antique chandeliers. Bent dinner forks displayed place cards, which matched the two-sided menus printed on natural craft paper. Once the cozy party was seated Cavnar recognized chefs Fegen, Pope and Sheely who shared their stories from the classroom and their enthusiasm for the Foundation's programming along with the description of their hors d'oeuvres. All three--along with the rest of the chefs being featured during the evening, had helped Cavnar create the Foundation's signature program now known nationally as Seed-to-Plate Nutrition Education™. "It helped me be a better parent myself," insisted Fegen, while Pope shared a favorite story of 4th graders finding purple cauliflower in their garden, then insisting on adding it to the whole wheat pizza they were making and Sheely described the joy of seeing the light go on when a child understands the magic of food. "Get ready for the meal of your life," warned Cavnar before the next course went down--Charles Clark's skate wing in Meyer lemon brodetto with Taylor Bay scallops, was followed by Pedro Garcia's lentil soup with shaved black truffle and truffle oil. Then out came Bryan Caswell's duck leg with Jordan almonds, brik and brown butter and Randy Rucker's lightly smoked short rib of beef with mushroom and chickweed. Each dish bought a gush of oohs and lots of cell phone photos, while each chef shared his story of working with Recipe for Success Foundation. 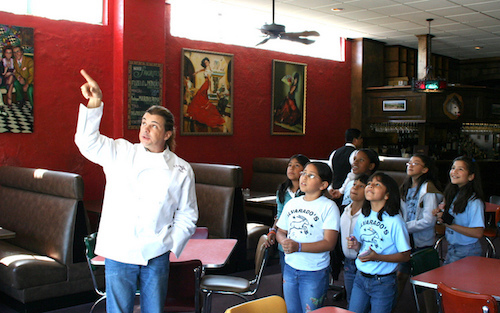 Pedro Garcia, who like Pope, Sheely and Evans has spent time in the Foundation's classrooms every single month for a decade, had just hosted this year's class of 30 fourth graders to his restaurant, El Meson earlier in the day. "I gave them the nickel tour and got to teach them a little something new today--the meaning of abstract, which is the opposite of what we are doing with Recipe for Success, because we are delivering real change in the way these kids think about, understand and eat their food. It's going to stick with them forever and even impact their families." One after the other, each chef shared how their volunteer work with Recipe for Success had not only impacted the 35,000 kids the program has worked with to date, but changed their own lives. "Never lose your childlike sense of wonder," advised Robert Del Grande as he presented his desert of pistachio cake, beet crème and lime glass that he coined the Mad Hatter. The colorful pink and green confection provided a delicious backdrop to a live auction of two pieces of original art. Shawn and Genevieve Patterson won a lively bidding war that drove the final price to $1,000 for Couture Cognac, a triptych of 6"x6" pieces done in graphite, paint and thread on linen by René Garza, of Houston and New York. There's No Such Thing as Leftovers!, a three dimensional piece of a found object, needle and thread on hemmed cotton napkin, created by Joseph H. Havel, who Catherine Anspon declared "a pillar of the Texas art scene," was snapped up for $2,000 by Becca and John Thrash. After the auction, Cavnar brought forth Randy Evans who has recently moved to San Antonio and made the trip back especially for the party. "Not only did Randy help me create this program, and spent a decade in our classrooms, we have gone on the road together to New York and the White House to promote it. We miss you Randy!" Evans hugged Cavnar as he shared how teaching with the Foundation had inspired him to build his own garden at his now shuttered Haven and keep bee hives, and introduce his kids to cooking. "After teaching with Recipe, I was comfortable starting my own girls early at the stove. They have been cooking with me since they were three." To give party guests the chance to stretch their legs, Evans' dessert course of vanilla bean pound cake with bourbon macerated strawberries and lemon curd was served on the screen porch along with Elousie Jones' iconic Chocolat Pots de Crème. But before the diners disbursed, they insisted that all ten chefs reappear and rose to give them a standing ovation. 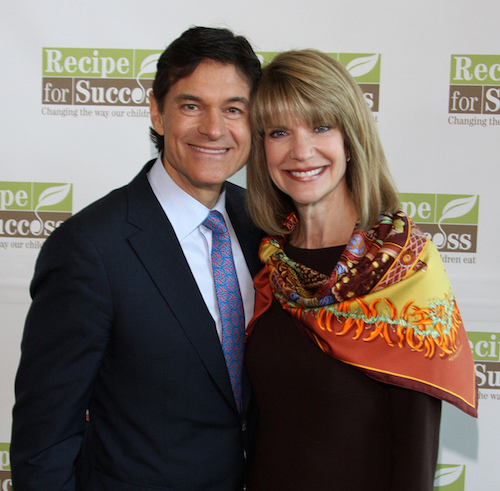 The dinner raised $150,000 for Recipe for Success Foundations programming in Houston. See our coverage in The Houston Chronicle, The Buzz, CultureMap and PaperCity! 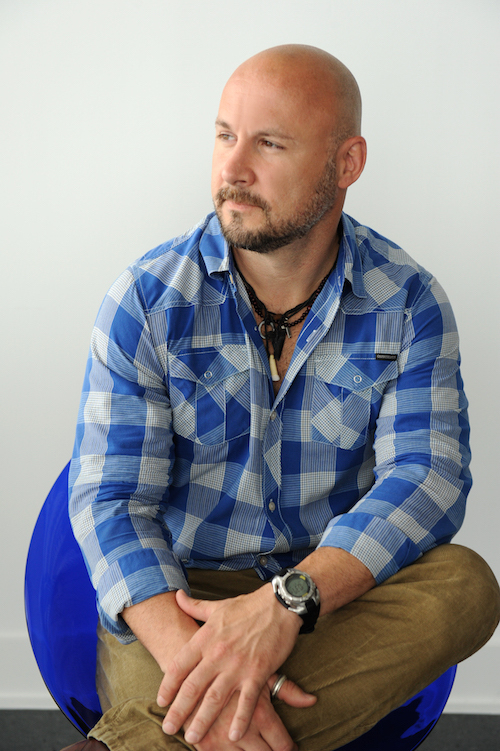 To Recipe for Success Foundation, Chef Bryan Caswell is a founding Chefs Advisory Board member and one of our earliest advocates. He was all ears back in 2005 when founder, Gracie Cavnar gathered friends in her home for brunch and enthusiastically presented her idea to end childhood obesity. He was one of the 24 chefs who were hands-on in helping Gracie develop curriculum that would get kids excited about healthy eating--and volunteered hours every month turning on the kid's taste buds and teaching them to cook. 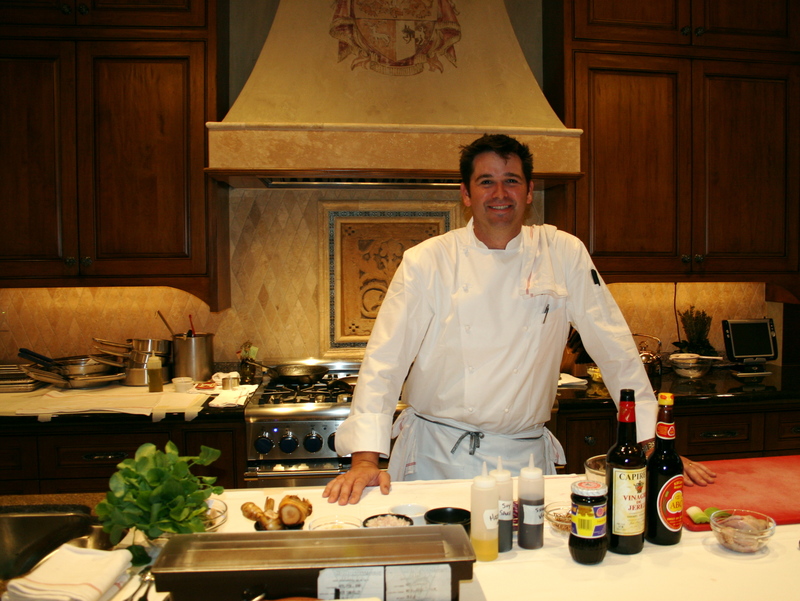 To the rest of the world, Chef Caswell might be considered one of the chefs that put the Houston food scene on the map. 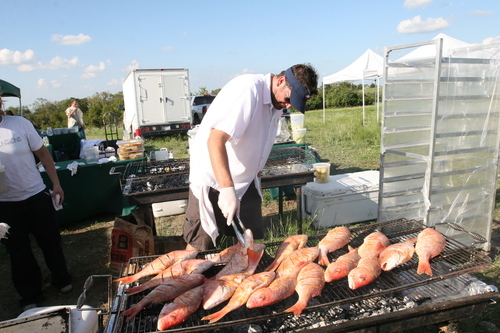 Since he first snagged America's attention on the cover of Food & Wine Magazine as Best New Chef 2009, he has been the man who works tirelessly to save the ecosystem of his native Gulf of Mexico and to educate people about the food culture it has spawned. He is a chef who marries his impressive Culinary Institute of America education, and professional experience at the helm of leading restaurants around the world, with the flavors and traditions he grew up with in Texas to inspire eaters at his popular Houston restaurants. Bryan joined the ranks of Recipe for Success fans immediately and began spreading the word. Along with Monica Pope, Randy Evans, Randy Rucker and Claire Smith, he made lunch for a group assembled by Houston's First Lady, Andrea White to hear Gracie's first public presentation of her vision for a new non-profit. Then, he helped raise funds to get Recipe for Success Foundation off the ground as a host chef for the debut of We're Cooking Now, A Gala in Small Bites, which became a popular annual series of intimate dinner parties in private homes across the city. To Bryan it wasn't the fame or attention, but going into the schools and working with kids that remains one of the best experiences of his entire life. He remembers the wonderment and purity in the children's eyes as they learned about planting, harvesting and cooking their own food. He recalls how it was his first time in a classroom with Gracie that was also the first time he was asked for an autograph! "The kids just see the uniform and automatically think you're important. As I was getting ready to leave after class, one kid asked for an autograph then they all wanted one. I sat there for 20 minutes surrounded by 4th graders wanting my autograph," chuckled Caswell. Now with his own children, he tries to bring the lessons home that he learned working with Recipe for Success Foundation. "My wife and I take them to the farmer's market every weekend and they pick their own vegetables out for the week. They know they have to have two grains, three vegetables and a protein. It helps a lot for the kids know where it comes from, who grew it and see it in its raw state. Then they help in bringing the meal together. Of course, my kids never listen to me as well as the kids in the classroom! " Recipe for Success Foundation celebrates Bryan Caswell and the contribution he has made not only to our programs, but to the city of Houston. He has been instrumental in shining a light on the city's food scene and works tirelessly to conserve and protect the Gulf of Mexico for both commercial needs and for recreation. "That's where it all started for me. It was the rod and the sea that got me hooked! I just hope these traditions continue for my kids and grandkids. That they can enjoy what I able to enjoy when I was growing up and throughout my life and then that they can eventually share it with their own kids." To Bryan the ocean and his wife provide his greatest inspirations, but "most importantly, is how to recognize inspiration. It lies in everything, at every turn. How can you recognize and use it?" To Recipe for Success, Bryan is one of our great inspirations and we are thrilled to recognize him and other founding chefs in May at our 10th Anniversary Celebration. At The Banquet on May 19th a few lucky guests will gather at an exquisitely table set under the sparkling chandeliers of The Dunlavy to dine on a sumptuous ten-course Banquet prepared by ten iconic chefs, all founding members of the Recipe For Success Foundation's Chef's Advisory Board. Chefs Bryan Caswell, Charles Clark, Robert Del Grande, Monica Pope, Ouisie, Randy Evans, Lance Fegan, Randy Rucker, Peter Garcia and John Sheely will each create a course complimented by wines provided by Anna de Codorniu Cava Brut and Long Meadow Ranch and a craft beer curated by the brewmasters at Silver Eagle Distributors. Specialty gourmet items donated by DR Delicacies, D'Artagan and Sysco promise to tantalize the tastebuds during this unforgettable evening with music curated by Paul English. Find out more and purchase tickets here. What sparked your interest to volunteer with Recipe for Success? I had recently retired and was looking for a volunteer opportunity that combined a passion, healthy food, with a big issue in America today, childhood obesity. How long have you been volunteering and at what locations? I think I began volunteering at Recipe for Success Foundation in the fall of 2012. I'm usually at the office but enjoy helping out at the evening events and the annual luncheon too. What keeps you coming back week after week? What are your favorite things to do or experience when you are volunteering? I keep coming back because I believe in the cause, enjoy working with the great group of people in the office, and am made to feel useful. What does volunteering bring to your life outside of your volunteer work? Volunteering makes for a more balanced life. It feels good to donate time and effort to others. Do you have a favorite memory / story thus far? While working at the social events, it's gratifying to see all these people take time from their busy days to support the mission of Recipe for Success. I've seen supporters show up during heat waves and rain storms. It's Recipe for Success Foundation's 10th Birthday: where would you like to see the organization in another 10 years? I'd like to see Recipe for Success Foundation programs in every state in 10 years as well as childhood obesity rates declining. 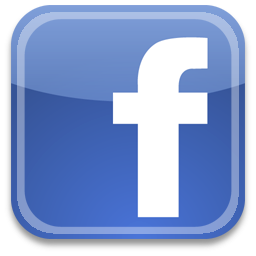 What are some ways that you enjoy contributing to Recipe for Success' mission to combat childhood obesity? I feed my own child healthy foods, I donate time and money, and I spread the story of Recipe for Success whenever I can to friends and acquaintances. Was there a particular experience in your life that shaped your attitudes towards food and nutrition in a positive way? I'm lucky. I prefer healthy food to unhealthy foods (most of the time!) and enjoy trying out new recipes on my family. Plus I married a man who is a passionate marathon runner and whose goal is to run all 50 states. He wouldn't get very far with that goal if we didn't eat nutritious foods. H-E-B has been a tremendous partner for Recipe for Success. For the past five years, H-E-B's donations have ranged between $15,000 and $25,000 annually in support of our Blue Plate Special Café & Awards Luncheon. H-E-B has also generously supported our annual VegOut! Challenge by donating amounts ranging from $10,000 to $15,000 each year. The company has also made numerous in-kind donations of food and hosted in-store events and field trips, in addition to their wonderful participation on our board. "In my work at H-E-B, I come across many people in the industry who are concerned about and working to stop childhood obesity, but Gracie's approach is different," says Ferreira. 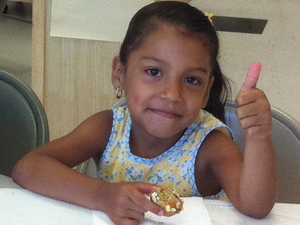 "It really changes the way kids think about their food in a very positive way." The foundation's programs and mission spoke to Ferreira in a very personal way. Ferreira explains that he grew up in a home with a father who was a passionate gardener who grew much of the family's produce and a mother who was a consummate chef. "My earliest memories are all in the kitchen. All of our food was homegrown and prepared by hand." When Scott McClelland asked Ferreira to join our Board of Directors, Ferreira happily agreed. "I am pleased to be a liaison for H-E-B and happy to make my personal contributions to the board," says Ferreira, who also recently became a member of Hope Farms Board, as well as its and finance committee. "After I had the opportunity to judge the Iron Chef completion at MacGregor Elementary I was hooked," says Ferreira. "It was so great to see the kids who were so proud of crops they had grown and then watch them create a dish -- without even a recipe to start with. That solidified my impressions of Recipe for Success." Ferreira highlights the power of the foundation's school programs. 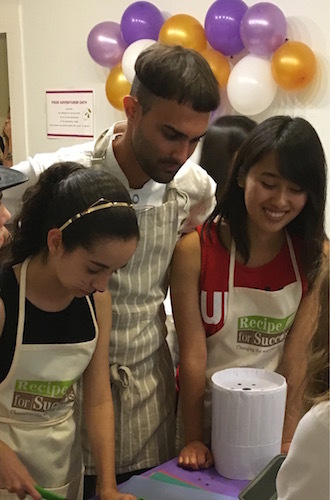 "One of the things I really like about Recipe for Success' Seed-to-Plate Nutrition Education™ is the impact it has beyond the schools," says Ferreira. "Gracie has shared with us the data that shows the impact on families, which in turn impacts the community. When the kids experience the lessons in school, it takes hold at home as kids encourage parents and family members to adopt what they have learned. At H-E-B, we have seen customer shopping trends shift more toward fresh food." He hopes H-E-B's VegOut! 2016 companywide participation will be stronger than before. 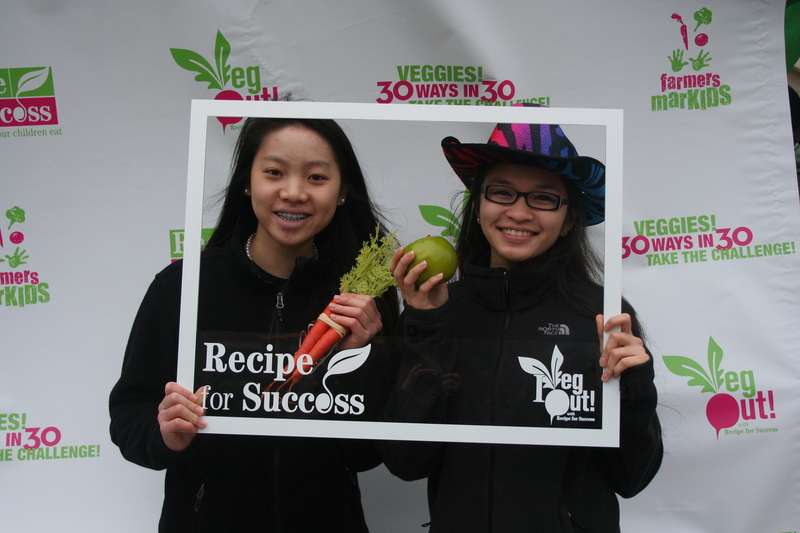 "My focus is selling more fresh produce, so I am hoping we'll be better integrated with the VegOut! 2016 campaign and can trumpet the nutritious eating message more fully in our stores," says Ferreira. "We hope to host events at our cooking connections and feature promotional materials for the VegOut! Challenge in stores." He also say H-E-B plans to use the VegOut! Challenge in March as a springboard for events and campaigns the store has planned for the rest of the year, which echo the message of eating fresh, nutritious food. "We've also been working with H-E-B's corporate office in San Antonio, and hope to take the collaboration with Recipe for Success to a corporate scale across all stores," he says. "There are a lot of people who are working to reduce obesity in children and adults, but Recipe for Success is a unique and effective program that stands out nationally," says Ferreira. "It's so great that Seed-to-Plate Nutrition Education™ is fully scalable for affiliates and partners to participate across the country. The education piece is so unique and engaging. There is a huge opportunity to replicate the program nationally." To inquire about board opportunities, contact our board liaison, Stephanie Hill. Delightful and dedicated volunteer Kay DeLaMater first learned about Recipe for Success in 2012 while searching volunteerhouston.org and has been donating her time and energy as an Office Star at RecipeHouse ever since. 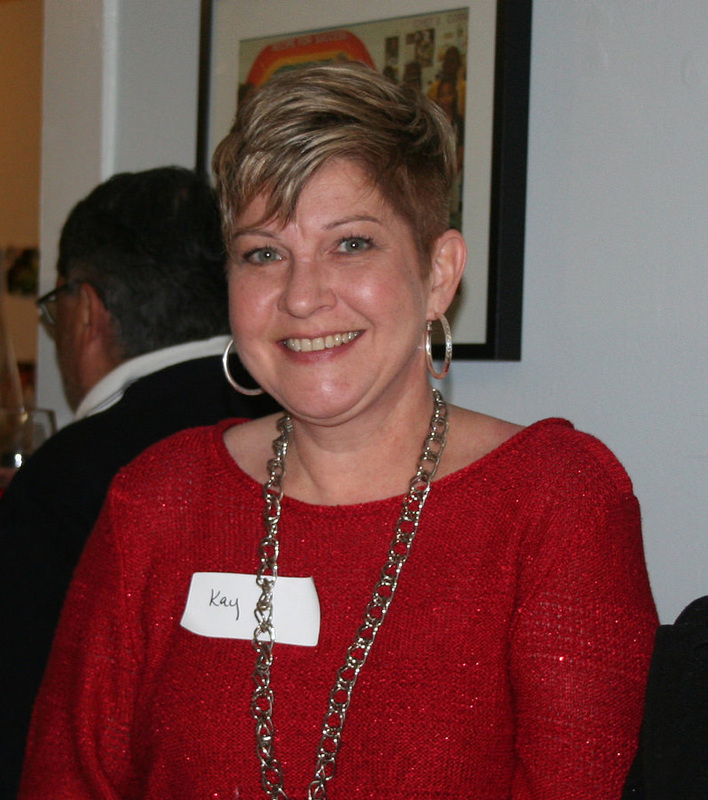 "I was between jobs and looking for opportunities to volunteer close to my home," explains Kay. "Recipe for Success was a good match because my whole life centers on food. My love of healthy food began in childhood -- that's when we need to instill good eating habits. Children by nature are so wonderfully open to new ideas and flexible in their habits." Kay tells us she was fortunate that her own mother shaped her attitudes towards food and nutrition in very positive ways. "My mother was a registered dietitian and my best foodie friend," says Kay. "From her I learned that cooking can be an expression of love and that nutritious food is delicious. She allowed me to be involved with daily meal preparation as soon as I was old enough to follow basic instructions and to kneel on a stool pulled up to the kitchen counter." Kay says she enjoys working alongside the staff at RecipeHouse. "Their enthusiasm is infectious," she says. "I've become known as 'the lady who likes to hand-address envelopes,'" she says proudly. This past November, Kay helped out at RecipeHouse on the hectic days leading up the Blue Plate Special Café & Awards Luncheon. "It reminded me of when I worked for a professional association whose main focus was planning a huge annual conference for our members," says Kay. "We would have been sunk without our volunteers in the 11th hour! I was therefore very happy to assist the staff at Recipe House in their time of need. I've always been a behind-the-scenes sort of person. No matter the organization, I love providing administrative support so that others can spend time on the front lines." Upon Recipe for Success Foundation's 10th birthday, Kay shares her dreams for the continued impact of the organization over the next 10 years. "I'd like to see continued growth of programs such as the VegOut! 30 Ways in 30 Days Challenge," says Kay. "It's a fun way for the adult community to be involved in the Foundation's mission. Adults ultimately determine children's diets. If we improve our eating habits, we can lead children by example." Dynamic Houston chef and restaurateur Lance Fegen jumped in as one of our original Chefs Advisory Board members back in 2006, helping to develop recipes still used in our classes today. Chef Lance didn't hesitate to volunteer in the classroom at N.Q. Henderson Elementary during those early years, and has hosted field trips to his restaurants and dinners benefitting Recipe for Success. "At the time that Gracie was launching Recipe for Success, I had just started a family and was enjoying spending time with my own kids," says Chef Fegen. "I had so much good in my life that I wanted to give some of that to others. Growing up, my mom took good care of us, especially with her cooking, says Fegen. "I know not all kids have that, so it's great to be able to pass those lessons along to the students. Once you get into the Recipe for Success classroom you fall in love with the kids and their learning process. 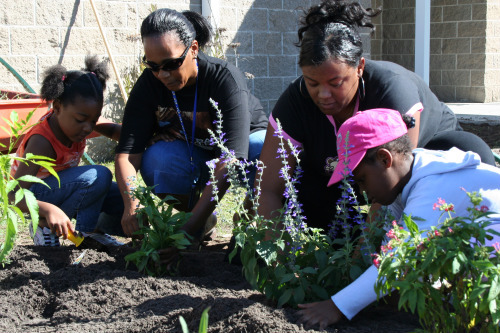 It really becomes a part of you -- the effort you give to the kids you get back tenfold." Fegen, who studied at the Culinary Institute of America in New York, first put his mark on the Houston culinary scene with restaurants such as Zula, Trevisio and Glass Wall. Later, he joined forces with business partner Lee Ellis and today their F.E.E.D. TX Restaurant group operates BRC Gastropub and multiple Liberty Kitchen locations in Houston and Austin. 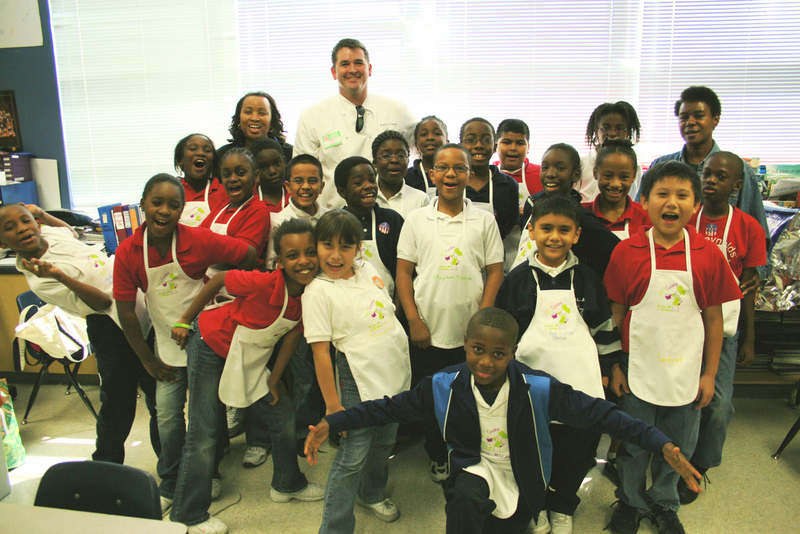 Fegen has also served on the Board of Directors with Houston Food Bank and worked with their Kids Café. Fegen has been busy opening several restaurants in recent years, but is looking forward to having time to share our Seed-to-Plate Nutrition Education™ once again. "I have missed getting into the classroom and I would love to get back to it," he says. Fegen also says he highly recommends the experience to other chefs. "Go out and give some of yourself to others and expect nothing in return -- no glory, no accolades," says Fegen. "I believe chefs should give back: teach students how to cook and show them that restaurant careers are accessible. It's not about your persona: spend time with kids who look up to you, you will find it's very rewarding." He applauds the Recipe for Success classroom tradition where students pledge to be a food adventurer, because it helps keep kids' minds open. "These kids don't say, 'no, I'm not gonna try that,'" says Fegen. "It's interesting to see other kids, even my own, who haven't had this type of nutrition education, who will refuse to try new things." Fegen's enthusiasm for the program and the students it serves goes even further. "These kids are excited about the learning process and become invested in what they eat," says Fegen. They develop a deep connection to their food and where it comes from - that's important. I wouldn't have become a chef if I hadn't had an Italian cooking family. My mom had me rolling meatballs at age 5." Fegen challenges grown-ups to learn more about their food, too. "I encourage anyone who calls themselves a foodie to go beyond the restaurants," says Fegen. "Get out and experience where your food comes from, explore the farmers markets, touch, smell, shop seasonally, grow your own. You become a true 'culinarian' by developing that deeper appreciation." After graduating from UH with a degree in Human Nutrition and Food, Starla Garcia began volunteering with Recipe For Success in June 2012 to fuel her interests in cooking, nutritious foods, and educating children. She has donated her time with us at our office, at our special events, and during our summer programs. She currently volunteers for weeknight events and weekend cooking classes at RecipeHouse. Starla says one of her fondest memories was meeting and talking to chef Hugo Ortega at the 2012 Blue Plate Special Café & Awards Luncheon. "He was selling his book, Street Food of Mexico, and I learned that he was from the same little city in Mexico as grandmother," says Starla. Starla Garcia: I've enjoyed watching the organization grow over the past three years and am proud of how it has stayed focused to its mission of reducing childhood obesity in the Houston area. It has been nice to be part of something like this and watch it become a very involved non-profit organization in the city. 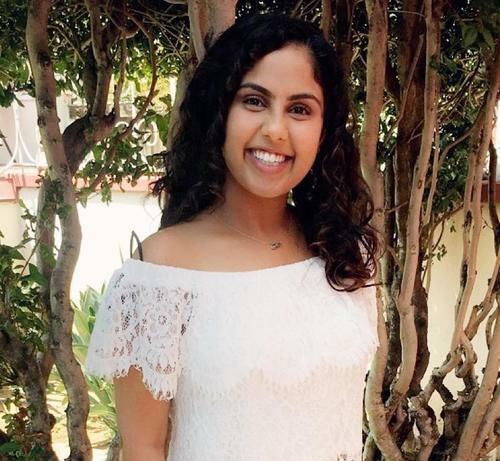 SG: Volunteering brings social connection to my life and allows me to connect with others who have similar interests in nutrition, serving communities, and education. Do you have a favorite memory or story so far? SG: My favorite memory was meeting and talking to chef Hugo Ortega at the Blue Plate Luncheon three years ago. He was selling his book, Street Food of Mexico, and I learned that he was from the same little city in Mexico as grandmother. I ended up buying the book and he wrote a sweet message in the book to my family and me. SG: I would like to see it move into schools in other metropolitan areas and continue partnering for events with local Houston businesses. I think it's fantastic that Houston recognizes the integrity of the organization and wants to help keep it moving forward. 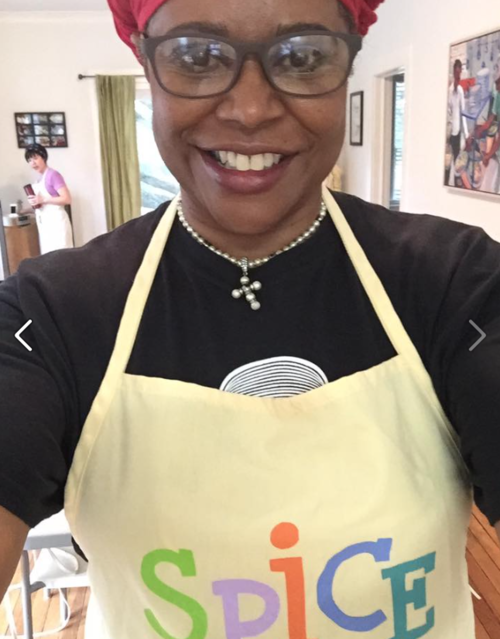 SG: Due to my schedule, I am unable to volunteer at the schools, but I still continue to contribute to the Recipe for Success mission through the fundraising events at SAKS, Neiman Marcus, or other events during the week after work. I have also volunteered over the weekends for the cooking classes with the Girl Scouts at RecipeHouse. SG: Growing up in the Rio Grande Valley there wasn't much information or education about healthy eating or nutritious foods. As a high school runner being recruited by college teams, I started to look for information regarding ways I could eat better, be healthier, and get faster. Instead of looking towards supplements, I saw food as a way to become not only a better athlete, but also a better person. When things started to improve in my running, I began sharing nutrition information and the ways I was eating to help my family and friends be healthier also. Have you witnessed moments that demonstrate the effectiveness of the foundation's programs? SG: I have seen how kids who have experienced the Seed-to-Plate Nutrition Education™ are able to distinguish between vegetables, fruits, and they are open to trying new foods. It is exciting to watch them try foods for the very first time and enjoy them. It is also great to see that the children are very familiar with foods like chickpeas, quinoa, and kale. Equally successful as both restaurateur and chef, Charles Clark has made an indelible imprint on Houston's dining culture. 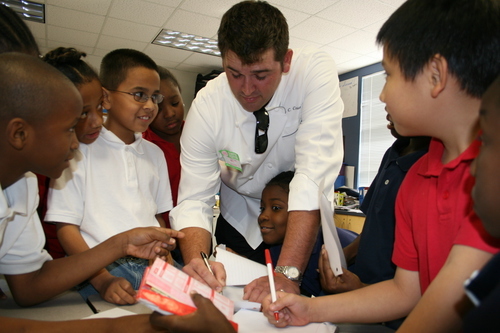 Chef Clark has given time and time again of his talents to raise money and awareness on behalf of Recipe for Success through our Gala in Small Bites dinners and in the classroom at Rodriguez Elementary. 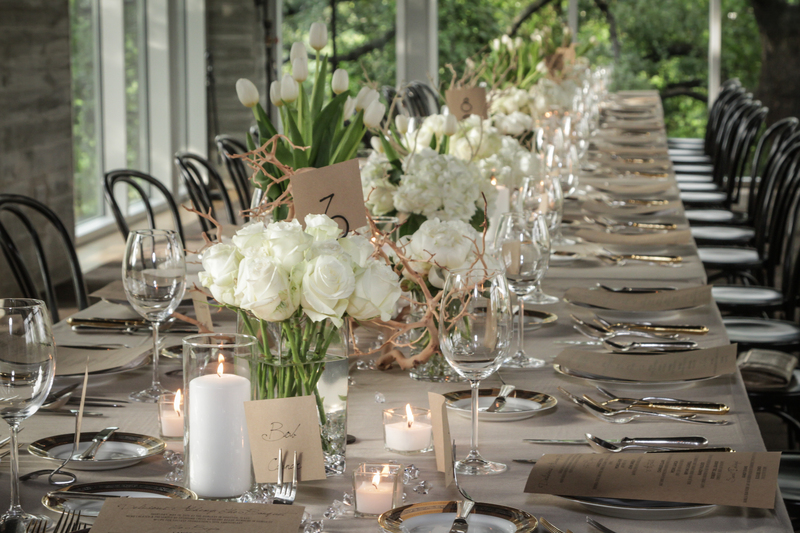 We are thrilled that he will host Delicious Alchemy: The Banquet on May 19 at his dramatic and dazzling new venue The Dunlavy at Lost Lake on Buffalo Bayou. "Charles and his crew came to cook at my house for our very first Gala in Small Bites--we were raising money even before we had a program," remembers founder, Gracie Cavnar. "It's only fitting that we celebrate our tenth Anniversary at his place, and we can't wait!" When Charles and his partner Grant Cooper opened Ibiza more than fifteen years ago, Recipe for Success Foundation Founders Gracie and Bob Cavnar were immediate fans, and Gracie wasn't shy about complimenting the chef each time she dined there. Years later, she easily convinced him to host a fundraising dinner for her newly established foundation. "She was so nice, well-travelled and truly liked food. And she dined at Ibiza frequently," he remembers. Chef Clark says he has really enjoyed the casual, in-home settings of the Gala in Small Bites dinners--and he should know, having been the featured chef at ten of them! "Holding a charity event in in someone's home makes it more personal, more connected to the cause," says Clark. "Plus it brings more money directly to the charity because there less overhead for the chef or restaurant than with a larger venue." He says he loves that the fundraising events are not in a big hotel ballroom. "It's more personal, quaint and genuine. After doing this for years, these are almost no-brainers for me. It's great to plan dinner for 50 to100 people, good people (which usually includes pretty women). It's great to have the sponsorship of Recipe for Success' partners like Sysco and Whole Foods to help offset the cost. Gracie always thinks of different angles to help chefs minimize the cost." Chef Clark says he highly recommends other chefs work with Recipe for Success. "There's such a good network of chefs, usually from chef-driven restaurants, not major chains," he says. "You work among your own colleagues and peers, so it's a great environment." 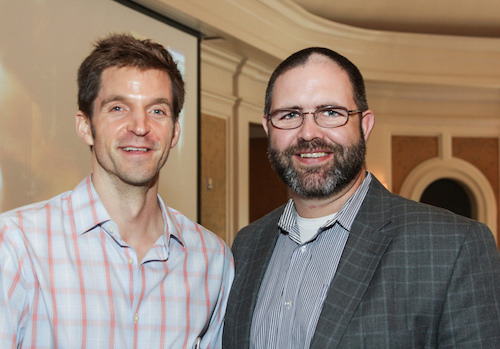 Clark teamed with business partner Grant Cooper more than 15 years ago to form Clark Cooper Concepts. Since their first venture at Ibiza, the partners have opened a slew of popular dining destinations, including Brasserie 19, Coppa Osteria, Punk's Simple Southern Food and Salt + Air. The Dunlavy at Lost Lake, which overlooks Buffalo Bayou off Allen Parkway at Dunlavy Street, is the company's latest concept to wow Houston diners. The modern space takes advantage of its scenic setting with vast, floor-to-ceiling windows and sparkles with more than 45 vintage chandeliers, collected over nearly two years. When asked what do you hope people take away from the Delicious Alchemy anniversary weekend, Chef Clark talks about the appreciating everything Recipe for Success Foundation has accomplished. "I hope people will appreciate that reaching 10 years is really something," he says. "With the Foundation's incredible achievements, I hope the anniversary events will give the cause even more momentum. I certainly want the dinner to live up to the expectations, given the tradition of excellence that all the great volunteer chefs involved with Recipe for Success have established." 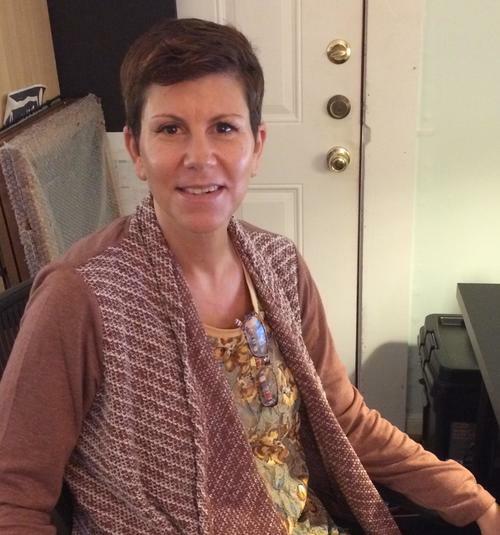 Our sincere thanks and congratulations to our November 2015 Volunteer of the Month: Janet Van. Kind-hearted Janet Van is a frequent volunteer at RecipeHouse, helping us show kids and adults just how fun and delicious healthy food can be over the past year. Here's what Janet had to say about volunteering with Recipe for Success. Janet Van: I was first introduced to Recipe for Success through a club at my university when Emily, the previous volunteer coordinator, came to give a talk about the non-profit organization. I was immediately taken by how this organization's mission to bring awareness to childhood obesity, since it is a subject I feel strongly about. I wanted to help create the change that this organization strives to do. JV: I just love working with the Girl scouts and seeing their eyes light up when they are learning to prepare the nutritious foods we have for them. It's so much fun when I get to guide them (especially the younger girls) through the recipe and watch them have so much fun. JV: Volunteering had taught me about sticking with a commitment and going through with it wholeheartedly. It has also taught me to balance my time and focus on what is most important in my life and getting closer towards my goals. Do you have a favorite memory/story thus far? Could just be an observation or a specific moment in time. JV: I would say that my favorite memory so far would be when I volunteered at a birthday party that was inspired by the television show "Chopped." I got to lead a team of 10-year-old girls and guide them when they created their own recipes out of random ingredients. It was so much fun seeing them working hard to create their masterpieces and feeling proud of their food creations. JV: I would like to see this organization continue to grow nationwide. There are many kids around the country that would benefit from getting a hands-on learning experience about foods and how to be healthy. Recipe for Success would help so many communities by empowering people with awareness about nutrition. Thank you Janet for your shining spirit and dedication to the mission of Recipe for Success. To inquire about volunteer opportunities, refer to our Volunteer Page. Hat's off to our Founder's Plate Chef of the Month for December 2015, Peter Garcia, Chef/Owner El Meson. For more than twenty-five years, Peter Garcia's family has operated El Meson, serving Tex Mex, Cuban and Spanish specialties that reflect the family's adventurous migration from Spain, through Cuba and New York, and finally to Houston, where the Garcias arrived in 1981. Peter was on our founding Chef's Advisory Board, has taught monthly for almost 10 years at Rodriguez and Gross Elementary Schools. 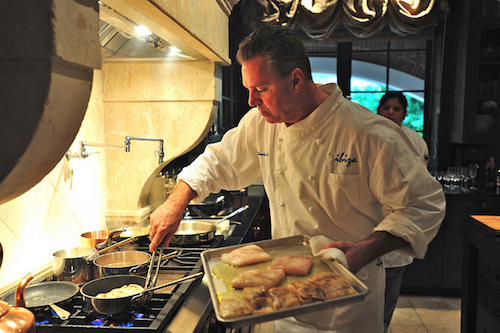 And the ever-hospitable chef has executed numerous wildly popular fundraising events for Recipe for Success Foundation. 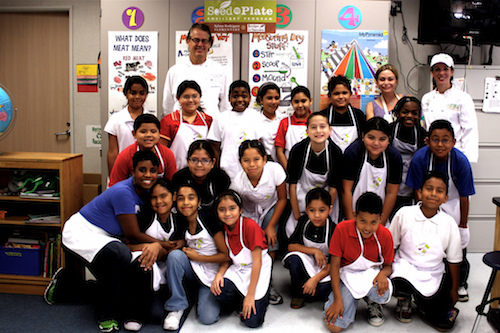 On Chef Garcia's first year of teaching elementary students, Gracie Cavnar, Founder & CEO of Recipe for Success Foundation recalls "he was unflappable in the classroom, and just fabulous at connecting with those kids, they were enraptured." "I remember that first year, I was all over the place cooking with the kids and creating the curriculum, but I enjoyed it," says Garcia. "As chefs, we teach the world how to dine, and hello - this is the beginning, this is it. Year after year I keep coming back, because I see it making a difference." In June of 2010, he joined us at The White House for the kick-off of Chefs Move to Schools. "I was very proud to represent Recipe for Success and Houston, Texas that day amongst this big conclave of chefs on the south lawn of the White House," says Chef Garcia. "When Recipe for Success was presented as a best practice [at the White House], and when the other chefs saw our name on his coat, he became a walking advertisement for Recipe for Success," says Cavnar. 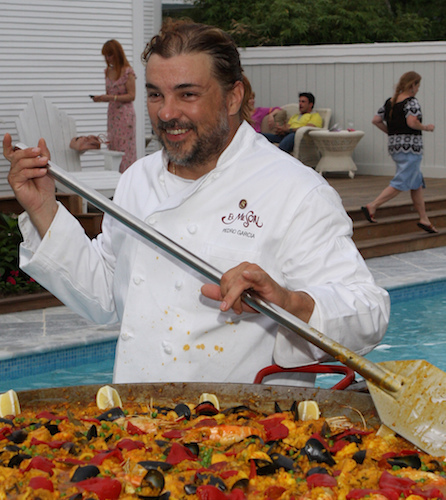 It's no surprise that Garcia was named our Chef of the Year at our 2012 Blue Plate Special Café Awards Luncheon. Growing up in New York City, Peter's love of food was sparked at an early age and as a teenager worked in his father's restaurant, Los Parados, as a short order cook. There he learned the basics of chopping vegetables, cutting meat, and making coffee. In 1992, after his father passed away, Peter assumed the front of house duties of the restaurant, taking full advantage of his degrees in philosophy and theater. He continues to appear regularly in local theater and is a respected activist in Houston's Latino community. Even with his dedication to the community, the restaurant and his family remain Chef Garcia's top priorities. His mother, Esperanza said it best: "We come together daily to work as a family. I think I am indeed fortunate." Peg Lee began teaching cooking classes at Houston Community College in the 1970s and quickly discovered and delighted in the abundant humor that comes with the territory. Peg Lee began teaching cooking classes at Houston Community College in the 1970s and quickly discovered and delighted in the abundant humor that comes with the territory. 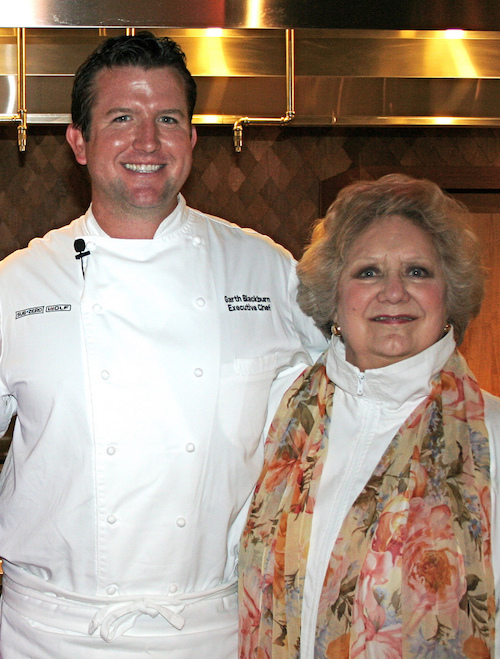 A decade later, Peg became the founding director of the Rice Epicurean cooking school. In 2001, Houston's brand new Central Market lured her away to start their, now wildly successful, cooking school where she helped attract well-known national and international chefs, often ushering them all over Houston. Gracie reached out for Peg's advice when she began thinking about forming a program to teach kids to cook, and they agreed that the newly emerging Slow Food group, where they were both members, might take on the project. "I heard Gracie present the idea of Recipe for Success and I immediately thought that it was a great idea," says Peg. "When you teach a child, you also teach the parents. It brings all of that knowledge into the home and family. Parents see that it's not that difficult to cook and are often impressed with their kids' cooking." 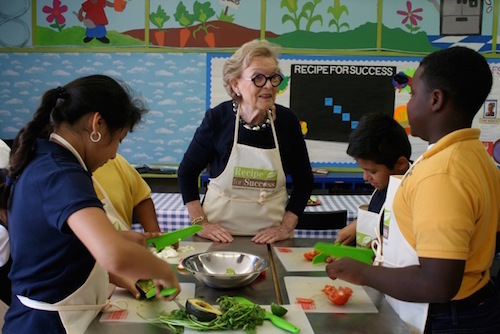 As a longtime cooking instructor and school director, Peg saw the waves of benefits that Recipe for Success Foundation's Seed-to-Plate Nutrition Education™ could bring. "When parents learn about cooking from their children, it opens up doors for the whole family," says Peg. Gracie approached Peg about getting Central Market to sponsor cooking supplies, but she suggested asking H-E-B instead. "I knew H-E-B would be a better partner for Recipe for Success," says Peg. "They have so many more stores that serve more families in the neighborhoods that the Recipe for Success programs were serving and targeting." Peg says she's very pleased to see H-E-B currently supporting Recipe for Success in an even stronger way. "During those first few years of Recipe for Success, Central Market did sponsor the Gala in Small Bites series," says Peg, who has retired as the Houston Central Market Cooking School's Director, but still works as an events liaison for the school. In those early days of Recipe for Success' Small Bites dinners, Peg Lee worked with the volunteer chefs to keep on budget and impart a certain sensibility to their creative efforts. "I had to be firm most of the time," says Peg. "I had to make sure they didn't over order ingredients, especially things like truffles." Peg never misses a chance to spread the word about the great work of Recipe for Success to people in the community, to Houston chefs, and even to renowned chefs and food activists who may have founded other in-school programs. "I've always been a supporter of Recipe for Success Foundation," says Peg. "I once went to a dinner in New York with Alice Waters and proudly told her about Recipe for Success. And she said, 'yes, I've heard about Recipe for Success.'" To this day, Peg remains a cheerleader and advocate for the Foundation. 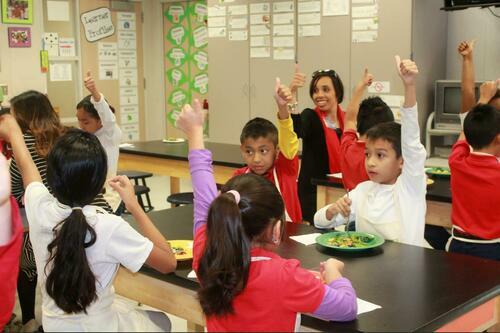 Peg would like to see the Seed-to-Plate Nutrition Education™ program taught in every state. "I think Recipe for Success programs should be mandated across the country," says Peg. "I feel education doesn't stop at the door of the classroom - when you educate the child, you educate the whole family." 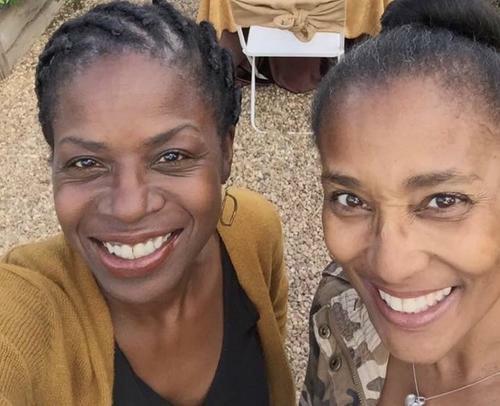 It was when they were neighbors a dozen years ago, that Kim Tutcher first met Gracie Cavnar--before she started Recipe for Success Foundation. But she was actively researching the issue of childhood obesity and shared her concerned with Kim. 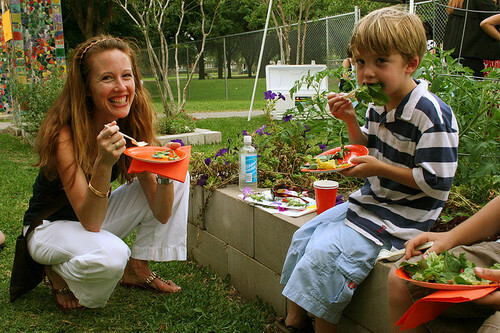 As a wife and mother, Kim was moved by Gracie's determination to find a way to address this health pandemic, so as Recipe for Success took off, Kim stepped up as a founding Board Member, rolled up her sleeves and helped launch the cooking classes, volunteering monthly at Briscoe Elementary throughout the first year of programming. The first party she gave in her new home was a Small Bites Dinner to raise money for Foundation efforts. In 2008, Kim chaired the first Blue Plate Special Café Luncheon featuring Dr. Mehmet Oz--reaching income levels yet to be matched. After retiring from the Executive Board, Kim has remained a member of the Foundation's Community Advisory Board. "Seeing how far Recipe for Success has come in the last 10 years is amazing - it just keeps calling me - and so does Gracie," Kim says with a smile. "One of the stories I like to share - and will never forget - was setting up the classroom at Briscoe Elementary for the cooking classes," says Kim. "There was a whole series of things to be done, from rolling in the cooking carts to prepping for the chefs, and then the clean up, ugh! We had to fill tubs with water from a tiny sink in a janitor's closet and, very carefully without sloshing too much, get them back to the classroom to wash all the utensils, pots and pans." Kim recalls a very special day and the close of the school year. "One of my most powerful memories was a luncheon at Ouisie's Restaurant," says Kim. "Elouise Jones was one of our first volunteer chefs, and at the end of the year she invited the whole class to her restaurant. She toured us through the kitchen and had set up the private dining room with linens, china, silverware placed just so, flowers and menus. It was so touching to see the kids order from the menu, select the proper silverware and use their manners." Kim continues to support Recipe for Success because she sees the many ways its programs leave a positive imprint on children, preparing them for adult life. "My favorite program is probably the farmers MarKIDS. It was fun to see how proud they were of the vegetables they grew. They set up stands, worked them and had to figure out the money - lots of moving parts." Thank you, Kim, for being one of our magnificent moving parts! The dynamic Eileen Hatcher currently volunteers at Recipe House as a helper in the Recipe for Success offices. Eileen began volunteering with us as a classroom and gardening volunteer, and later brought her generosity and enthusiasm for our mission to our office to lend a hand to our staff members. We asked Eileen a few questions about her experiences as a volunteer. Eileen Hatcher: I've been eating food all my life, cooking most of it and growing some of it for a good while, too, so it seemed that my skill set matched nicely with the Recipe for Success mission and activities. At a Houston Urban Gardeners meeting, the Recipe for Success instructor at my local elementary school explained how the program helps kids learn to garden, cook and eat healthy foods. As soon as the meeting was over, I walked up and signed up. As a vegetarian, I was excited that recipes with no or less meat were used in the kitchen. How does volunteering enhance your life? EH: Volunteering with Recipe for Success in my local elementary school made me appreciate my upbringing in a family that gardened and was too poor (or cheap) to buy processed foods. (Bet my mom never thought she'd hear me say that!) I now realize how difficult it can be to support healthy eating in a single parent household and that working parents need help and resources for how to make meal-prep and mealtime a participatory family event. Do you have a favorite memory / story thus far? Could just be an observation or a specific moment in time. EH: Sharing home-grown and home-cooked food ties us to culture and community. What is served and how it's cooked is all part of your history and sharing it confirms your belief in the future. As Houston becomes more diverse, sharing these recipes and dishes help us appreciate each other's (and our own) cultures and understand each other better. Everyone's granny or mom used to eat in season, cook family recipes and tell the stories about family and location. For a stir-fry cooking lesson, the local Pei Wei donated 100 chopsticks to Recipe for Success to enhance the lesson. The kids were so excited to not only cook, but also learn how to use chopsticks and explore another culture. In the garden, the children learned how to make seed balls of wildflower seeds and clay to increase germination and viability. It's Recipe for Success' 10th Birthday: where would you like to see the organization in another 10 years? EH: In 10 years, I would hope that gardening and healthy eating would be a part of every school's curriculum; but knowing that is fairly improbable, I see a need for some existing seed-to-plate programs to expand and serve more grades. I would like to see additional classes using ethnic recipes as the basis for encouraging healthy eating. I would like to see the continuation of meatless meal preparation, even more instruction on healthy shopping and attention to ingredients in off-the-shelf cooking products and identification of genetically modified ingredients. I would also like to see Recipe for Success supporting family potluck dinners in the schools and the community. Thank you Eileen for volunteering with Recipe for Success! To inquire about volunteering opportunities, email our Volunteer Coordinator. Congratulations to Robert Del Grande of RDG+Bar Annie, our 2015 Chef of the Year! 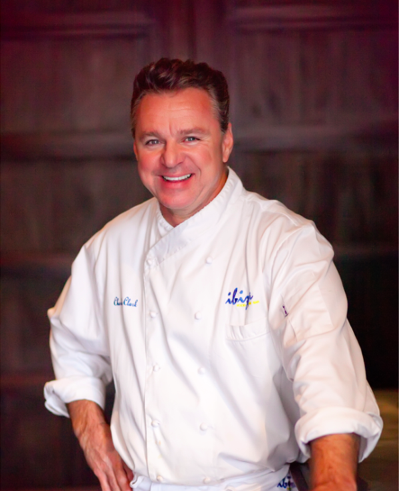 One of Houston's first superstar chefs, California native Robert Del Grande received his B.S. in Chemistry and Biology and his Ph.D. in Biochemistry before being drawn to Houston in 1981 by his (now) wife Mimi. Del Grande took a temporary job at the newly opened Café Annie, owned by Mimi's sister Cadence and business partner Lonnie Schiller. His adventure grew into a long-term family partnership and Café Annie rose to the forefront of fine cooking in the Southwest, garnering many top honors and awards, including the James Beard Award for Best Chef Southwest in 1992. In 2009, Café Annie moved down the block to its current location on Post Oak Boulevard taking the name RDG + Bar Annie, honoring the initials of its founding Chef and the restaurant that revolutionized Southwest cuisine. But before all the accolades and the culinary career, he was a grad student who developed his passion for cooking, taking inspiration from the meals his mother and grandmother had served. His desire to share those traditions with his roommates - his desire to be near his sweetheart Mimi -- launched a remarkable career. Robert says he's never felt more performance pressure than when preparing to meet a classroom of nine-year-olds. As a founding member of the Chef's Advisory Board he was instrumental in helping us design the curriculum and as a PhD in biochemistry he always delivers a lively and interesting class. He generously taught in the classroom at Rodriguez Elementary for three years. Longtime Recipe for Success supporter Phyllis Childress remembers watching Robert Del Grande teaching students how to make quesadillas. "I was impressed that he chose a dish that they could relate to, while making a very healthy version of it." She recalls how Robert managed to turn this class on making a quesadilla into the 4th graders' earliest lessons in math, geometry, geography, biology, and physics. "He talked about how many quesadillas (using burrito-sized wheat flour tortillas cut into eighths) he'd have to make to ensure that everyone there got a piece, demonstrating by cutting one, then showing the students how he had turned a circle into eight triangles, even how if you held two triangles end to point, you had a rectangle." Every year Robert wanted to adopt the whole class and he and Mimi showed up with their arms full of holiday gifts. Chef Robert even hosted his student at his Uptown restaurant. The generosity didn't end there - Robert and Mimi have hosted many fundraising events for Recipe for Success over the years. Robert Del Grande's more than 30 years of experimentation in the kitchen have made him a prominent figure in the historical revision of American cooking, as he has indelibly changed the culinary landscape with his expertise in tastes and flavors indigenous to the region. We are thankful for his many contributions to cuisine, as well as to Recipe for Success Foundation. Cheers to Robert Del Grande! 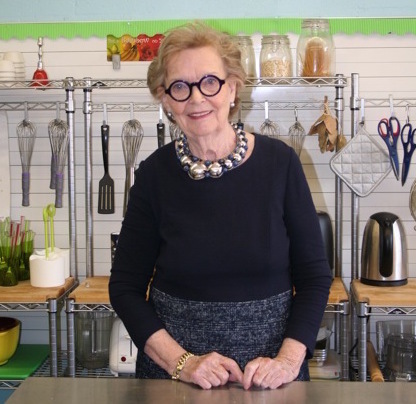 Among our 2015 Blue Plate Special Café Honorees is longtime Recipe for Success Foundation supporter Phyllis Childress -- a wonderful woman who has been part of our organization from the very beginning. This former caterer jumped in as a Recipe for Success founding board member and has come through as an enthusiastic volunteer and dedicated fundraiser many times over. In preparation for our very first school year, Phyllis helped Gracie source and gather kitchen supplies for six kitchen carts for those first classrooms. Hunting down kid-sized kitchen utensils and equipment, Phyllis and Gracie scooped up whisks, spoons, lettuce knives, food processors and induction burners at Costco, Best Buy, Target and Restaurant Depot. "Wheeling those giant 'shopping trucks' around and loading them up with what we thought our chefs would need was an exciting exercise, both figuratively and literally," recalls Phyllis. As a volunteer in the classroom she witnessed the transformative nature of our Seed-to-Plate Nutrition Education™. 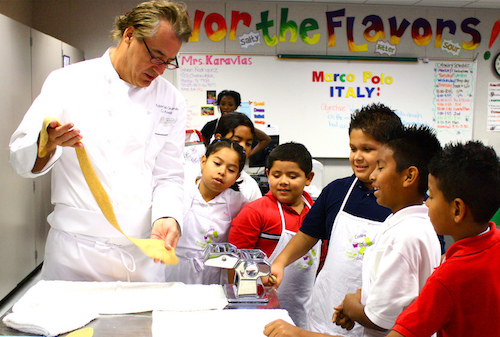 "I realized that these children could see that their chef instructors were like rock stars. And the seed was planted: learning about cooking might be a career opportunity well beyond just becoming a busboy," says Phyllis. "Another great observation was watching the effect of these classes on mothers who had volunteered as helpers in their children's classrooms. Their body language clearly said that these healthy food ideas just wouldn't fly - that is, until they tasted the results." Phyllis has also been a superstar fundraiser, hosting a Gala In Small Bites fundraiser every single year since those fundraisers began in 2005. Reflecting on the many Small Bites dinners, she says it would be hard to pick which meal and which chef impressed me the most. "But I will confess to a giant crush on Garth Blackburn, "says Phyllis. "Besides being a fabulous chef, he's so cute, and he's a great teacher (something I know about since I taught cooking classes during my catering days) - so, consequently, I've been the annual hostess for the Gala In Small Bites at his SubZero Wolf showroom every year since he came onboard with Recipe for Success." 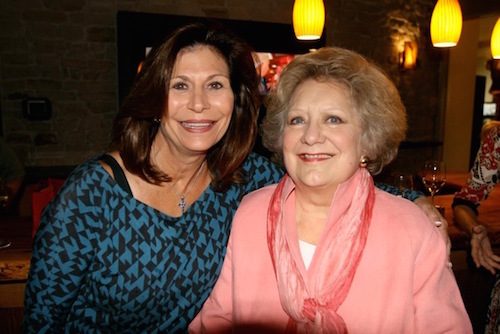 It's friends like Phyllis Chlidress that have helped keep the momentum going for Recipe for Success Foundation over the past 10 years and will continue to fuel our future. Thank you, Phyllis! 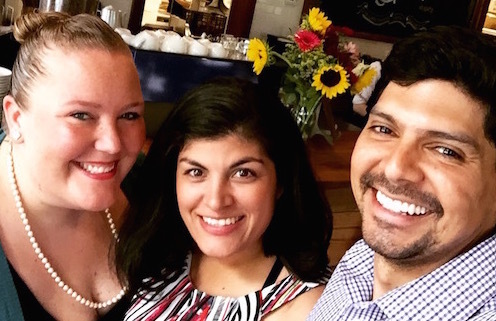 We are delighted to recognize Joey Luna, manager at Revival Market and Volunteer with Eat This! 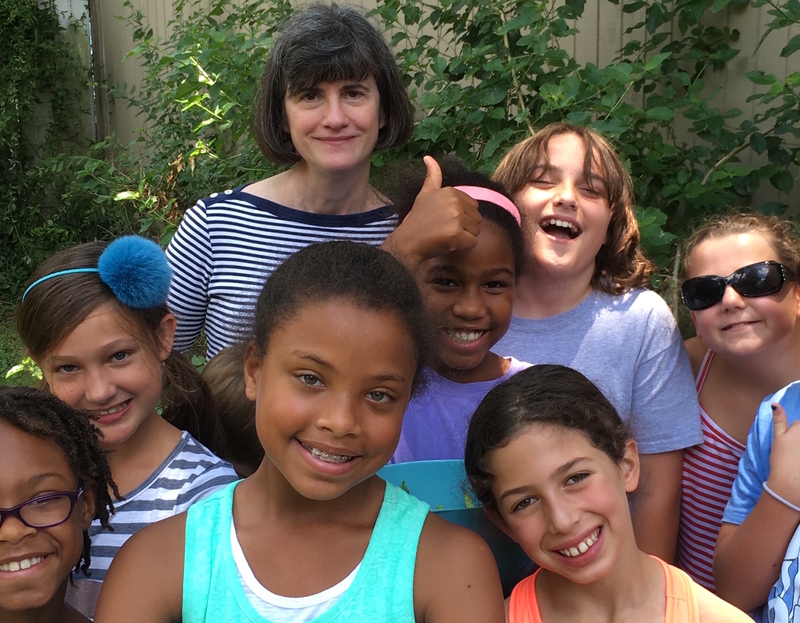 Summer Camp as the September 2015 Volunteer of the Month. He was kind enough to answer a few questions about his experiences volunteering with Recipe for Success. What sparked your interest to volunteer for Recipe for Success? JL: The groups of kids -- it was surprising at how into food they were. My lecturing about butchery was kept to a minimum. It was great having the kids ask question after question about different foods, such as or "what kind of foods do you like?" and "how do you prepare this food?" or tell me "this is the food I like." It was really nice to see kids that young that they were that interested in food and already had a lot more knowledge than the patrons in our store! What does volunteering bring to your life outside of the actual volunteer work? JL: It gets me out of a working mindset. It was fulfilling to know I was just talking to the kids about food, not having to sell anything. You could see the excitement on their faces and they listened with open eyes and ears and gave a lot of feedback. Do you have a favorite memory or story thus far? JL: The unveiling party was a lot of fun! The kids were excited about not only finding out what product won, but they were asking me 'do you remember I came in with my mom the other day' and 'I want to try this [pointing at different charcuteries]' and were asking our Pastry Chef, Alyssa, tons of questions about how she cooks/bakes different items for the store. It was a great culmination of all of their hard work over the summer. One last question, it's our 10th birthday this year, where would you like to see RFS in another 10 years? 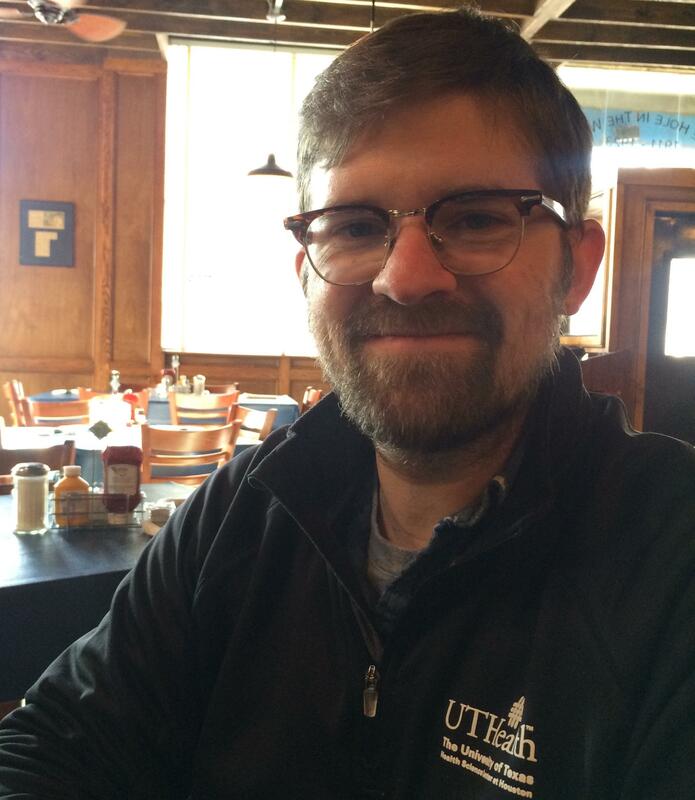 JL: Well, I'm still a bit new to knowing the full reach of what RFS does now, but I'd love to see RFS in as many schools around the Houston area as possible. I feel lucky to see the elementary school down the street have a community garden and, being in the Heights bubble, I forget that not all schools have that. It's great that there's an organization like RFS that can provide nutrition and food education from the beginning to end, it'd be great to see that in as many schools as possible. Thank you again, Joey, for all you do for Recipe for Success. Here's to 10 more years! 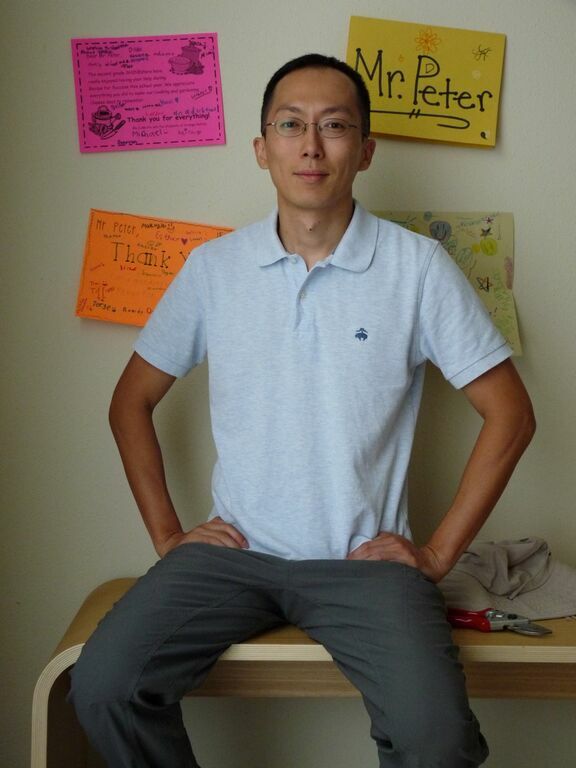 Peter began volunteering at KIPP SHINE in 2012. A decade earlier, while studying at the University of Texas at Austin, he first found his passion for healthy living as a member of the university's marathon team. 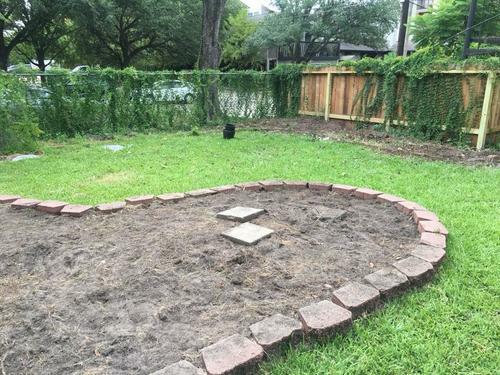 Later, while helping to organize the Houston Marathon, he often passed by undeveloped land along the first few miles of the course and dreamed about planting orchards and gardens there for kids attending the nearby schools. Lack of horticultural know-how and a busy schedule building information systems and streamlining accounting processes for an oil and gas company kept that dream on the backburner. When his company was acquired, Peter took advantage of a lull in his workload to embrace an alternate version of his dream. He discovered Recipe for Success Foundation and their efforts to build gardens and teach kids about gardening and cooking, giving them a foundation of healthy choices to benefit them for the rest of their lives. On the Fridays when he volunteers at KIPP SHINE, an early childhood and elementary school, Peter gets to help second graders build that healthy foundation and enjoys seeing the refreshing way with which they approach life. Meeting and learning from instructors, chefs, and others who are passionate about healthy living has benefits, too. At home, Peter's one-pot meals are tastier than ever thanks to spices and techniques he picked up at RFS, and his balcony is now full of greenery, including most of the ingredients for an occasional romantic dinner. Besides volunteering, Peter enjoys running and swimming. He travels occasionally, too, including back to his birthplace, Taiwan, where he enjoys the abundant fresh local produce and street food. If you are interested in volunteering with Recipe for Success, email our volunteer coordinator Kristen, volunteer@recipe4success.org. Amy Anton joined the Recipe for Success Board at its inception. From hosting Pizza Parties to Co-chairing the 2007 We're cooking Now! A Gala in Small Bites, Amy has played a big part in making things happen for the organization. She also volunteered on a monthly basis for years at MacGregor Elementary. "I remember back in the beginning at MacGregor, it was on two chefs: Randy Evans and Monica Pope," says Amy. "The kids were impressed that a real chef would come to their class. How amazing that a chef with a well-known restaurant in Houston takes the time once a week to teach elementary school kids? That speaks volumes about the organization." "From the beginning, Amy rolled up her sleeves and jumped in, initially and for many years volunteering every month in the classroom," says Gracie Cavnar, Founder & CEO of Recipe for Success Foundation. "She and Drew have hosted several fundraising events for us and she actively works to get her friends involved--raising thousands of dollars. Amy helped us design the RecipeHouse concept and sent her own kids to our first classes there and she still contributes to our blog. As a hands-on mother of three active boys, Amy has brought a great perspective to our planning and content development through the years. It's fair to say, we wouldn't be the same organization we are today without her influence and energy." Beyond her three beautiful boys, and husband, Drew, Amy's favorite things in life are food and travel. Houston native, Amy went to St. John's School and received her degree in journalism at Washington & Lee University before returning to secure her MBA from Rice University in 1999. Food is her passion and Amy loves to cook. After having her children, she realized how important good nutrition is as well as the importance of the family table. In the spirit of passing on family traditions and healthy eating, she has taught her boys the art of cooking since they could stand at the counter. Her family has long been engaged in philanthropy and community service in Houston and set a high bar example of the importance of giving back. Amy maintains a position on the Boards of the Nature Conservancy and the Friends of Child Advocates for which she served as President in 2005. With her children now attending her own alma mater, she has also become a very active volunteer in their school. In December 2008, Amy published first children's picture book, "Ina the Octopus" about a young octopus who helps a diver bring artifacts up from the bottom of the sea so they can be put in a museum. The proceeds from her book go to the Institute of Nautical Archaeology. Amy continues to commit her time to our mission. 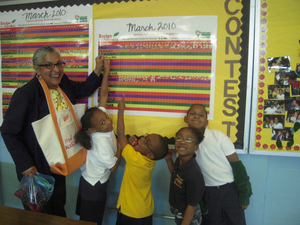 During 2014 she once again engaged St. John's School in the VegOut! Challenge and our Earth Day Garden Haiku Contest. She also blogged during VegOut! 2014 and scribed a blog post on a favorite soup this past winter. We are proud to recognize Alicia May as our Vounteer of the Month! 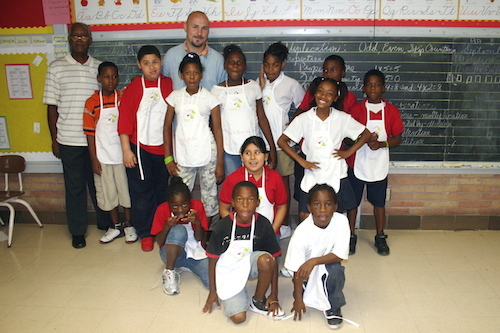 Alicua volunteers at MacGregor Elementary and Briscoe Elementary and at our RecipeHouse Summer Camps. We asked Alicia a few questions about her experiences and the things she loves about volunteering with Recipe for Success. Alicia: Recipe for Success jumped out at me because it's everything I love. I'm a retired teacher so it gets me back into the classroom. I love to cook, I love to garden, so it just encompassed everything I enjoy. Being new to Houston, it was a nice way to meet people. What keeps you coming back week after week? You're our summer camp MVP signing up every week. What about what we're doing gets you jazzed? Alicia: It's just how happy the children are. A lot of kids don't like vegetables. I know parents are sending their kids to the camps so they can learn more about food, and maybe the kids are hesitant to try new foods, but Recipe for Success is doing a great job of getting them to try their vegetables and making it fun. There's the odd child that pouts in the back once in a while, but most of the time they all have smiles on their faces the entire time. They're happy at camp. I'm doing what I love, it's a small classroom setting, and I don't mind doing the dishes, because interacting with the great instructors and the children - it's a positive thing during my day. There are also no electronic devices. It's good old-fashioned learning, hands on, touching, feeling, smelling! During the school year, they're in the classroom all day -- smelling is not part of learning in the classroom. This brings a whole new dimension to their learning. What's your favorite memory / story thus far? Alicia: For all the school classes, you can see the weight off their shoulders in the classroom. It's completely different, no pressure, they're using a completely different part of their brain, and you can just see the, ''ahhh" on all of them. There was even a child who obviously had tactile issues - it was at Briscoe - and some of the food he couldn't touch. You could see his anxiety level rise and he would go sit down. But he still participated and it still flowed even though you could see he was stressing out. He would gently go sit down compose himself, come back and no one would make a big deal about it. Alicia: Ideally, in every school. The children get so much from this. The US has become so international and it just comes together over food. The best diplomacy has been conquered over food. Food brings everyone together. It's great to see all these new tastes for the children and it opens their world. A certain smell will remind them, oh this is India! Or this is Greece! They don't even have to be eating the food, they can just walk past a restaurant and they'll say, "hmm, I know that smell!" Thank you, Alicia, for your consistent commitment and support! Interested in volunteering with us? Email us! We want to celebrate the historic legacy of Houston's bayous as the first food highway into town at the city's inception and to bring some cultural relevance into the connection of land, water, and the vast diversity of Houstonian's foodways. 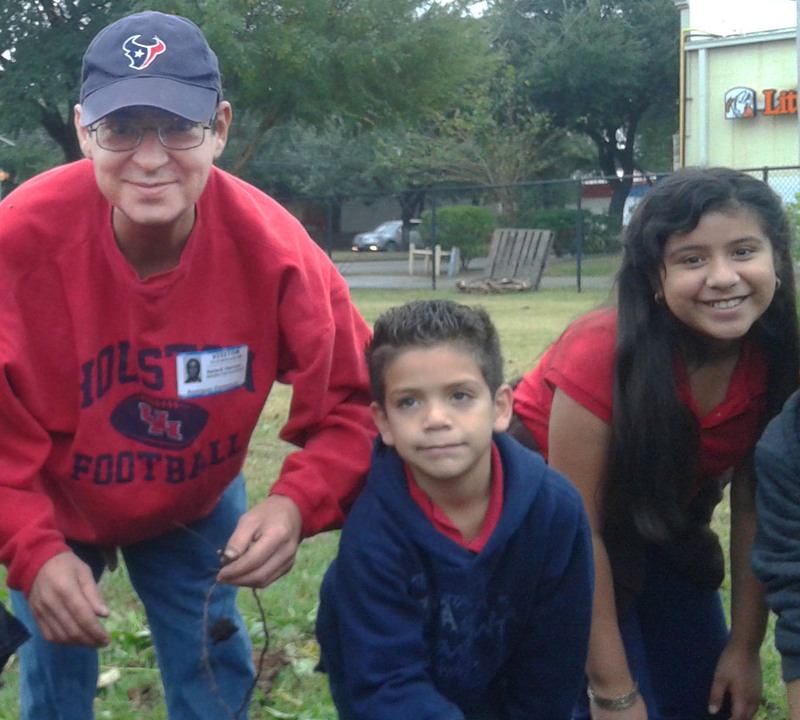 The RFS team will be at three parks on Saturday, April 4 as part of the Houston Parks Board Bayou Green Day. We helped create an event passport as another salute to the original gateways to Houston, so we will be stamping passports at all three of our booths: At Gragg Park folks can stop by to share their Favorite Holiday Food Stories on video and earn a passport stamp. Then, at Spurlock Park we are helping folks write original poetry and enter our Garden Haikus for Earth Day contest, which will be judged by Rich Levy (Poet and Director of Inprint.) Poets will earn another passport stamp. At our #HoustonDigsRealFood booth located in Mason Park, we will have all the necessary materials to make a plant pot, plant a veggie from seed and earn another passport stamp Snaring three stamps will win the passport holder a prize from Success Rice & Mahatma Rice, which will be givenout at all three Recipe for Success booths. It's just another food adventure with Recipe for Success Foundation that reflects our efforts to celebrate and share our appreciation for fresh, nutritious food and inspire a culture where healthy eating is the norm. Here is a link to all the other things happening during this event. Send us you pictures and have fun. School is back in swing and cooler days are on the way, which means it's also nearly time to for national Food Day. Founded by the Center for Science in the Public Interest, Food Day is a nationwide celebration and a movement for healthy, affordable and sustainable food. Since its inception Recipe for Success Foundation has coordinated a variety of engaging activities each year centered around Food Day on October 24. This year, we've cooked up a fun and easy way for all of Houston to get involved: Houston Digs Real Food. On Friday, October 24, 2014, folks citywide will show their support of fresh, sustainable produce and eating local by planting their very own veggie seeds. Our friends at Botanical Interests have even donated seed packets for everyone who wants to participate. Get your school, company, family or group of friends together to be a part of the first annual Houston Digs Real Food planting! 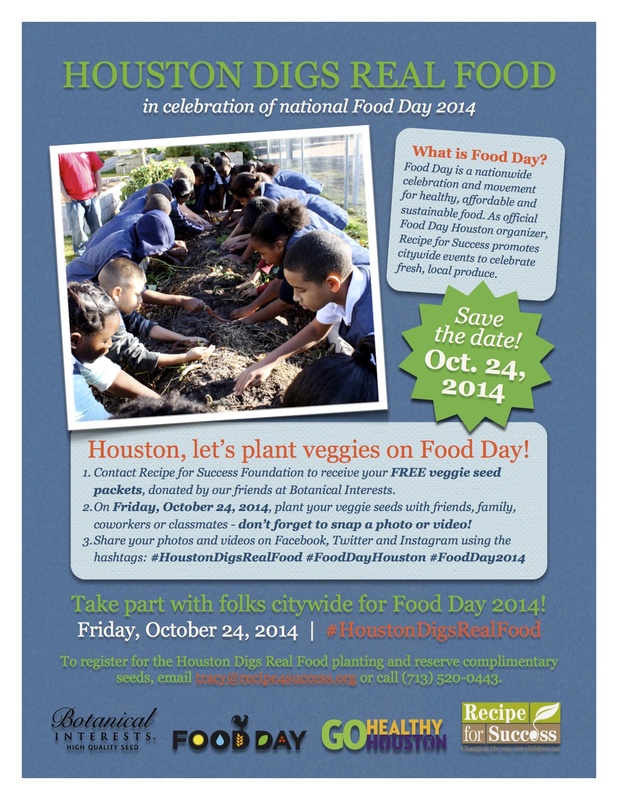 And don't forget to share with us on social media: #HoustonDigsRealFood. For more details and to take part in Houston Digs Real Food, email tracy@recipe4success.org. The Center for Digital Democracy has created a new infographic that shows how food and beverage companies target Hispanic youth with digital marketing for unhealthy food and beverage products. Think on these unappetizing numbers, then share with your networks! The road to providing healthy foods in our nation's schools began in 1946 and continues today. From its origin in the 40's, the legislation concerning school foods has been developed to regulate what schools can and cannot feed students to ensure maximum health. In 2010 the Healthy Hunger Free Kids Act was passed, which allowed further regulation of school meals as well as a way to regulate snacks offered in schools. 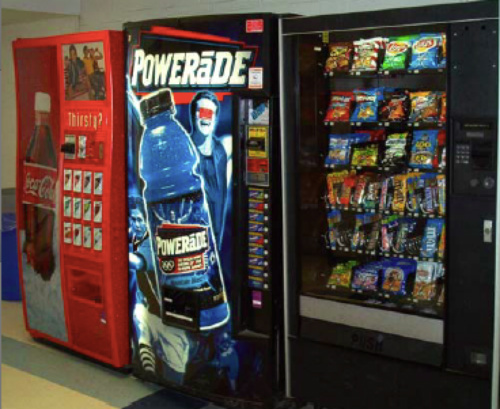 The "All Foods Sold in Schools" standards released in addition to the 2010 Act mandated that vending machines and other sources of "junk foods" be unavailable to students during the school day. Any food available to students must meet several nutrition requirements including being "whole grain-rich"; having a fruit, vegetable, dairy product, or protein as the first ingredient; containing 10% of the Daily Value of one nutrient of public health concern; and limiting calorie, sodium, fat, and sugar levels. The Healthy Hunger Free Kids Act also requires schools to implement a local wellness policy to oversee healthy practices. Recently, the USDA proposed further guidelines for implementation of these wellness policies. Under the proposed rule, each local educational agency participating in the school lunch program must create a written wellness policy detailing specific goals for nutrition promotion, nutrition education, physical activity, and other activities to promote student wellness. Each agency must establish leadership for the wellness policy including school officials and members of the general public must be permitted to participate in the process. The policy must ensure that each school is abiding by requirements stated under the Healthy Hunger Free Kids Act and the Smart Snacks in School standards. Additionally, the rule limits marketing in schools to only that which promotes foods that meet the nutrition standards discussed above. Until now, marketing has not been regulated which, some say, can undermine parents' attempts to encourage healthy choices by kids. The idea here is to "ensure that schools remain a safe place where kids can learn and where the school environment promotes healthy choices," states USDA Secretary Tom Vilsack. The proposed rule is currently open for public comment specifically concerning this marketing component. The USDA wants to hear our thoughts and ideas about this. If you wish to join the fight for a healthier school environment please make your voice heard. The comment period will end April 28. Speak out about this critial issue here. Learn more about the proposed policies at FoodMarketing.org. In an effort to connect our partners and fans with current research, strategies, successful programs and trends focused on combattng obesity, healthy eating and food access issues, we have assembled this weeks news stories from around the world. . . .
A New York Times story on November 13, showcases a group of Head Start kids in East Harlem who benefit from the collaboration of the Children's Museum of Manhattan and the National Institute of Health. Eat Play Grow is designed expressly for kids under five and offers interactive displays, art, storytime and music complemented by parent nutrition classes. Amenities at the Museum like plastic fruit, letter tiles featuring food and interactive games have been replicated in the community center that hosts this weekly class. Read the entire story here. In 2010 when we learned that obesity numbers were on the rise in 5 year olds, Recipe for Success designed programs for pre-school children as young as 3. We also started neo-natal classes for moms and parent-child classes for families. We agree that it is never too early to build healthy habits. Guidelines for obesity counseling and care were released this week by a group of medical associations that include the American College of Cardiology, the Obesity Society and the American Heart Association. Read the AP story here. We say, "It's about time!" Physicians are often the first place a family turns for advice and support to deal with their overweight child, but historically the family doctor or pediatrician is the least prepared to provide it. 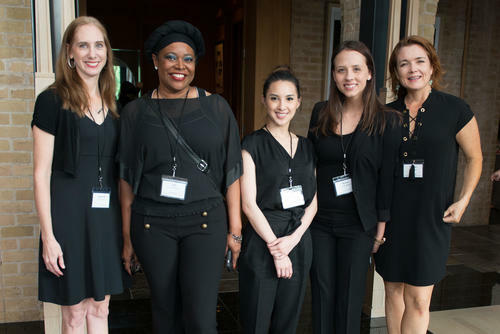 In 2012, with the guidance of board member Dr. Melanie Mencer Parks, Recipe for Success Foundation launched a Healthcare Provider Committee tasked with creating educational tools and programs for Houston's medical community. In 2012, we began teaching Baylor Medical Students how to cook and the Committee has plenty of other ideas and plans up their sleeves. Now, our initiative seems to have the support and validation of the entire medical profession. A recent study by Johns Hopkins compared grocery and food access across the spectrum to test popular thinking that healthy choices improved as families worked thier way up the economic ladder. The findings might surprise you. We already knew that poor, racially segregated black neighborhoods lack supermarkets and the study reconfirmed that. But the small grocery stores they do have offer very few healthy products, instead favoring high fat, salt and sugary foods on their shelves. 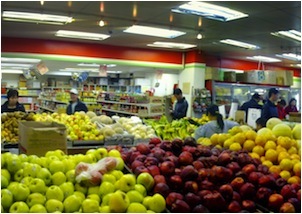 Though segregated Hispanic neighborhoods also have fewer supermarkets, their small gracers tend to stock healthier items. Even more shocking are stats reflect that even wealthier black neighborhoods have far fewer super markets and healthy grocery options than poor white neighborhoods. You can read more about the study in a recent LA Times story or in the Preventive Medicine journal. As we prioritize efforts to provide healthier options for all our neighbors, perhaps we need to consider more than affluence and the fact that you can't simlply provide healthier options, people need to buy them. By identifying cultural favorites that are poor nutritional choices and working to educate folks on how to prepare them in a healthier way, we can influence the market. This is one of the things we do at Recipe for Success Foundation in our work with kids and their families. We rely on ideas like our friend Lindsey Williams suggested in his book Neo Soul: Taking Soul Food to a Whole 'Nutha Level. No one said you can't ever have red beans and rice again, just consider making it with smoked turkey sausage and maybe serving it with a green salad. 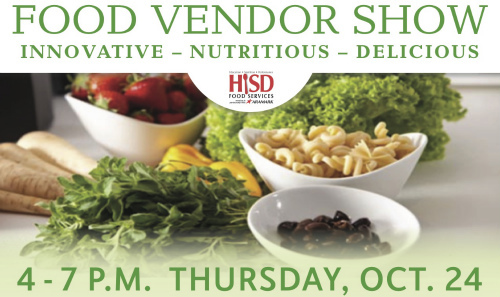 Last week Houston ISD hosted its first-ever, district-wide Nutrition Innovation Food Show. Allowing students, parents, and community members to have a chance to taste-test new products and ask questions of food suppliers was a step in the right direction. However, the show left one wondering where all the truly nutritious foods were. The only product that resembled something grown in the ground was pre-diced white potatoes! Other fruits and vegetables were freeze-dried, packed in salty water, or pureed into a colorful pouch. It is disappointing that HISD is reinforcing the idea that children will only accept fruits and vegetables after processing them to an unrecognizable form. Beyond fruits and vegetables, vendors provided samples of many of the ready-made meals that are served in school cafeterias. Most foods were touted as low-fat or whole grain, but a closer look at the ingredient lists filled with added sugar and unpronounceable ingredients are still a cause for concern. Of course, until schools have more money to spend on school lunches, utilizing frozen foods and some level of preservatives is necessary. However, one vendor was more than ready to explain how chemical dyes are used so their food would more closely resemble the fried food students are accustomed to! That certainly doesn't seem necessary. A concerted effort has obviously been made to reduce calories, but vendors (and the schools they sell to) are still missing the point. Until schools are able to provide whole ingredients and fresh fruits and vegetables, the nutritional needs of students are not being met. "Members of Congress are working to reauthorize the Farm Bill, legislation that provides funding for the Supplemental Nutrition Assistance Program (SNAP) program, formerly known as food stamps, and for the SNAP education program. Drastic cuts to SNAP are on the table in the Farm Bill and nearly half of all SNAP participants are children. If Congress cuts funding for this poverty relieving program..."
Read the complete post by Clay Dunn at NoKidHungry.org. Many of our nation's children dealing with obesity are the very same youngsters who face hunger, as poverty leaves their parents only with the option to stretch food dollars by purchasing cheap processed "junkie" foods that are high in sugar, fat and sodium and low in nutritional value. Learn more about how food policies are shaping the state of hunger in America. View original post by Cargil here. This page is an archive of recent entries in the Stories from the Field category. RecipeHouse is the previous category. Seed-To-Plate is the next category.